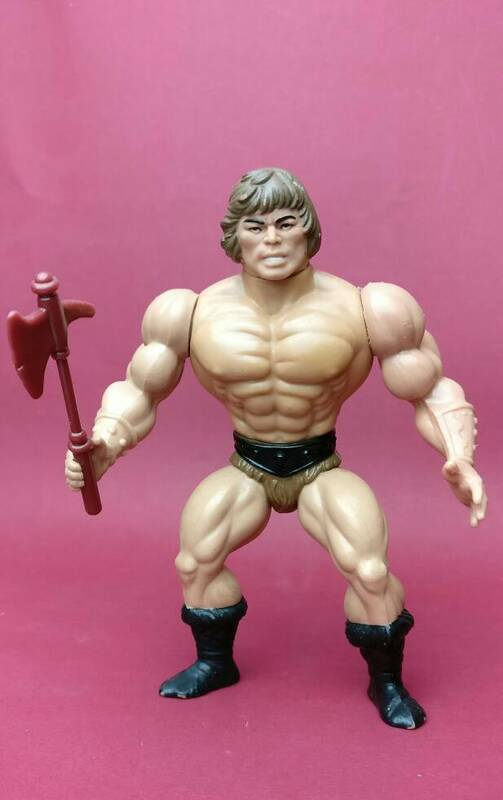 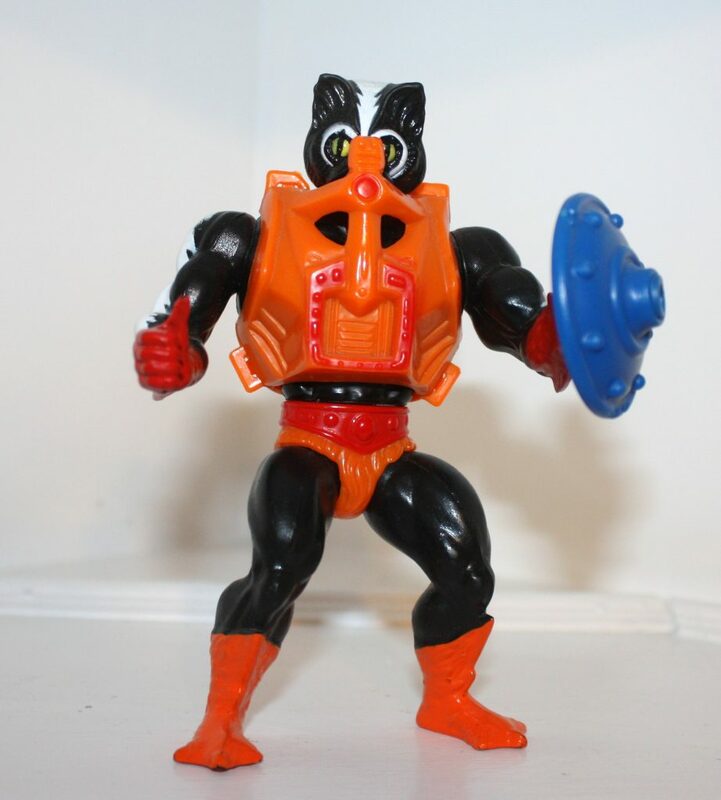 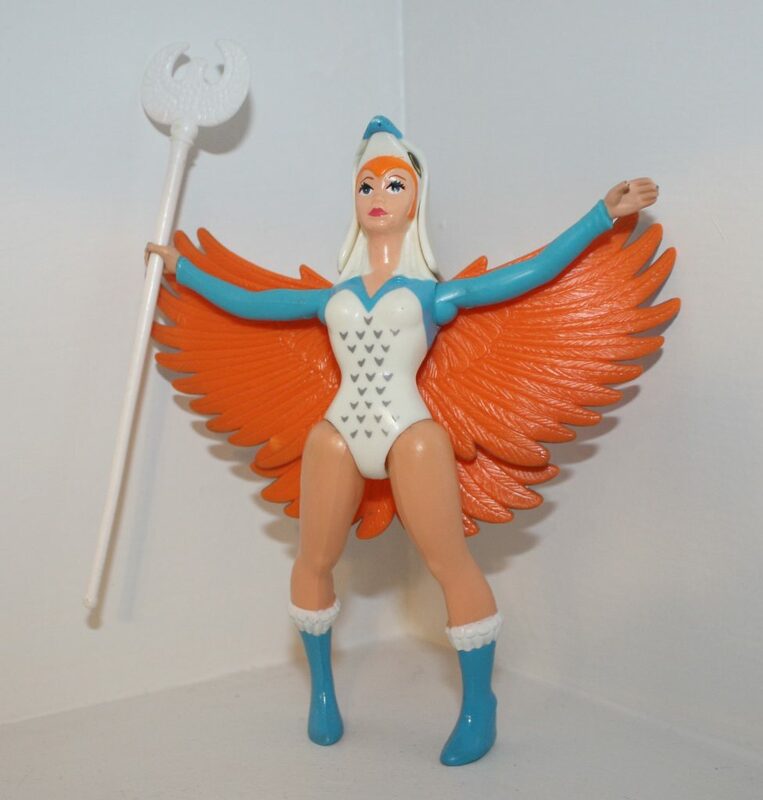 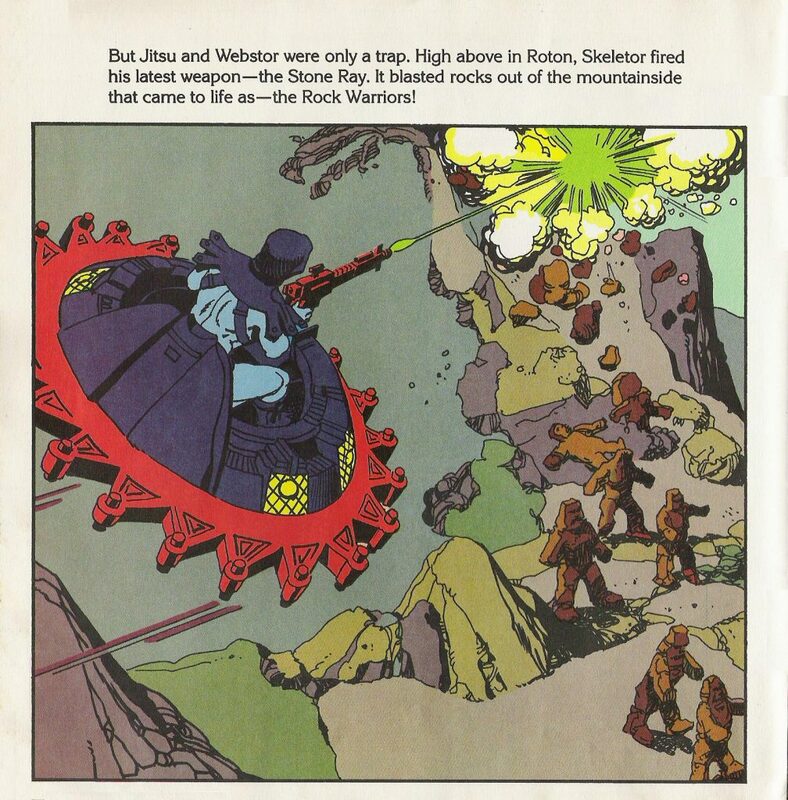 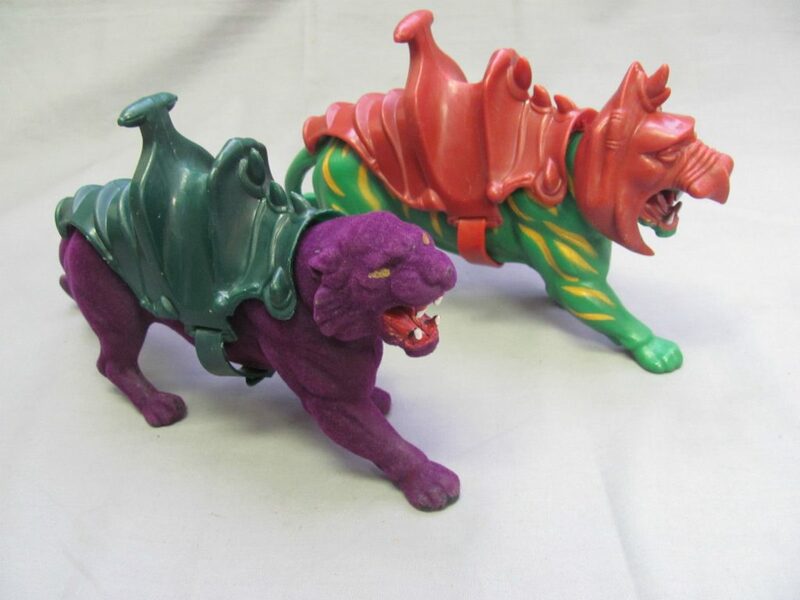 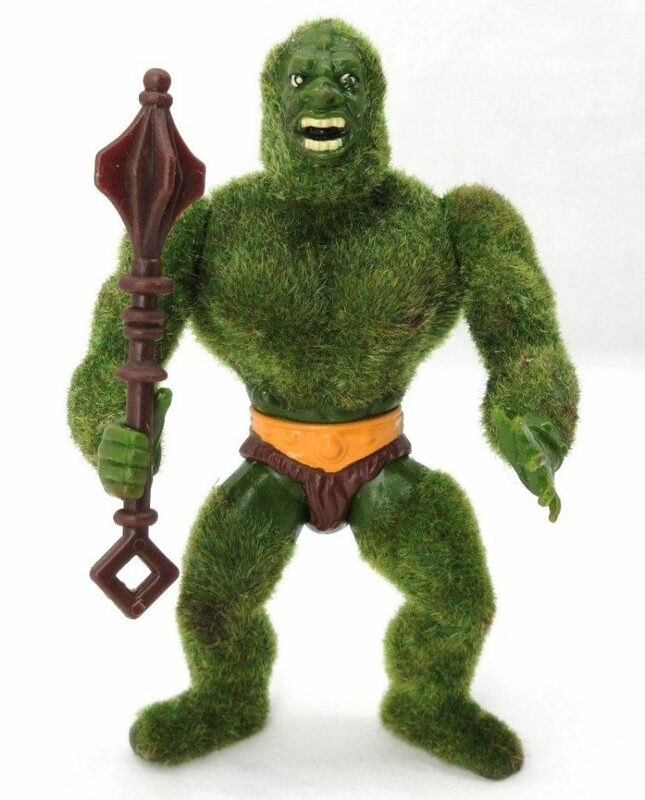 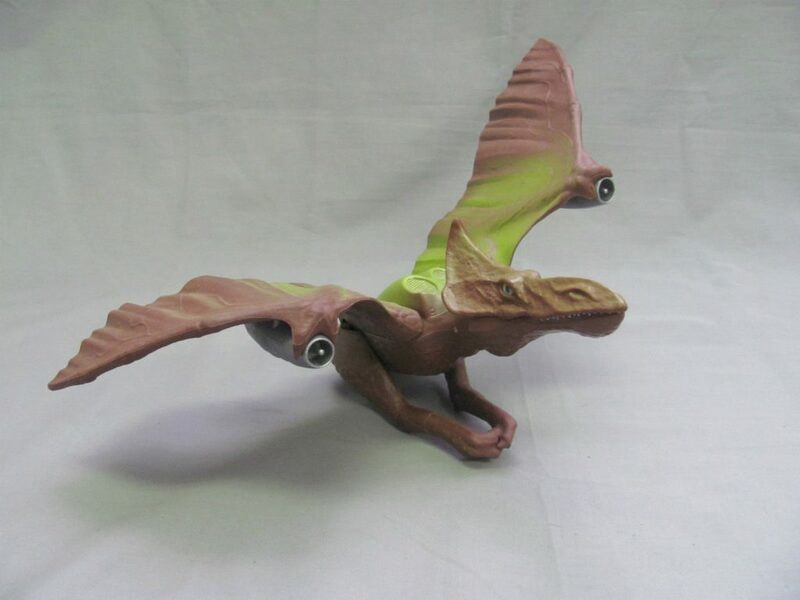 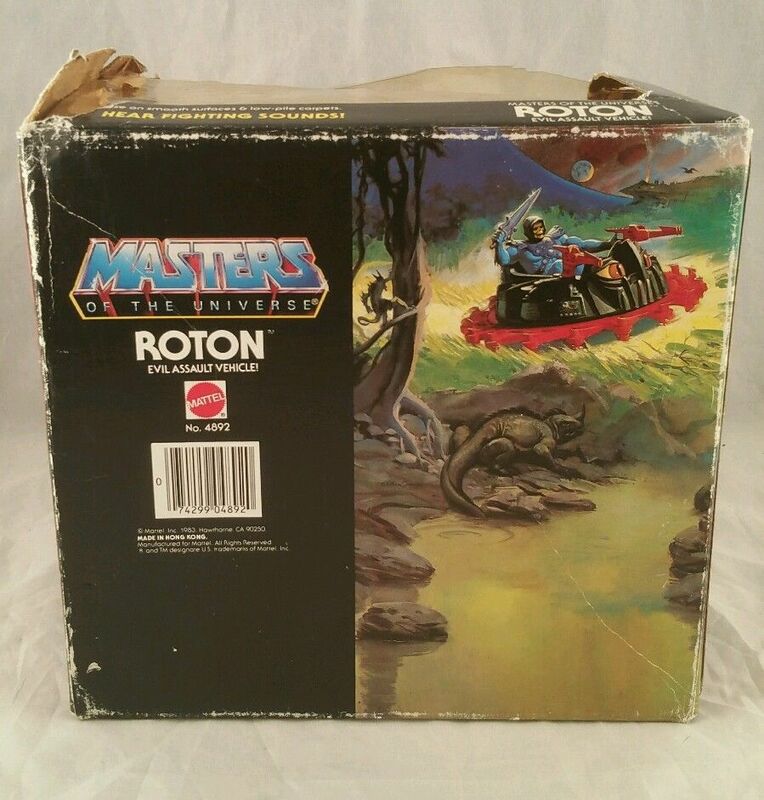 Roton was a toy that, as a kid, I admired from afar, but was never able to own (at least until many years later). 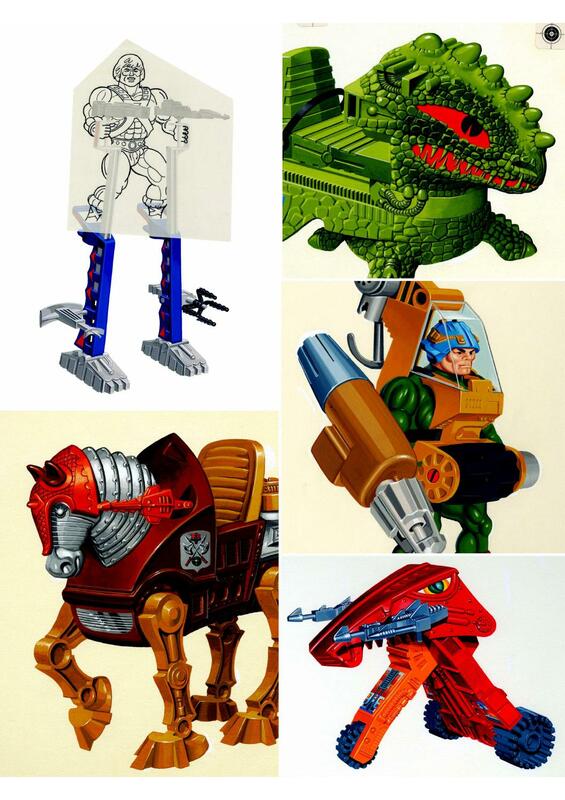 I remember very clearly going over to my friend Tyson’s house in first grade and being bowled over by his collection, which dwarfed mine. 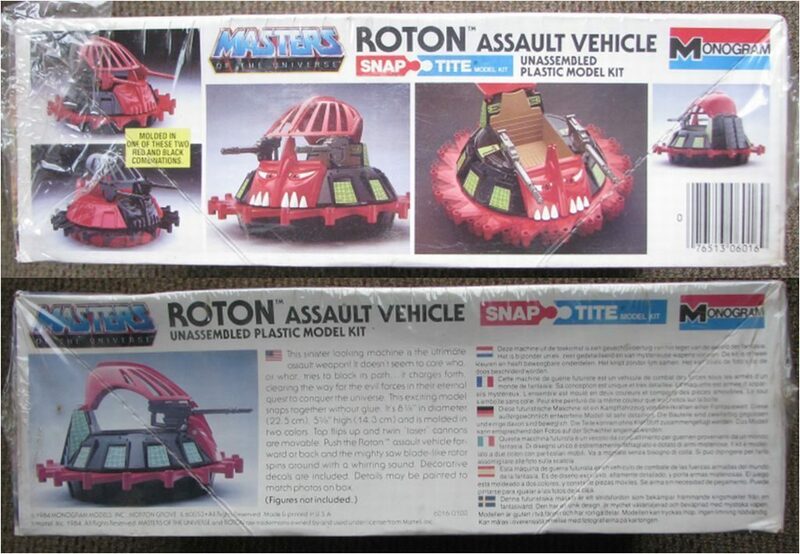 Among other things I got to see in person for the first time toys like Zodac, Stratos, and the amazing Roton. 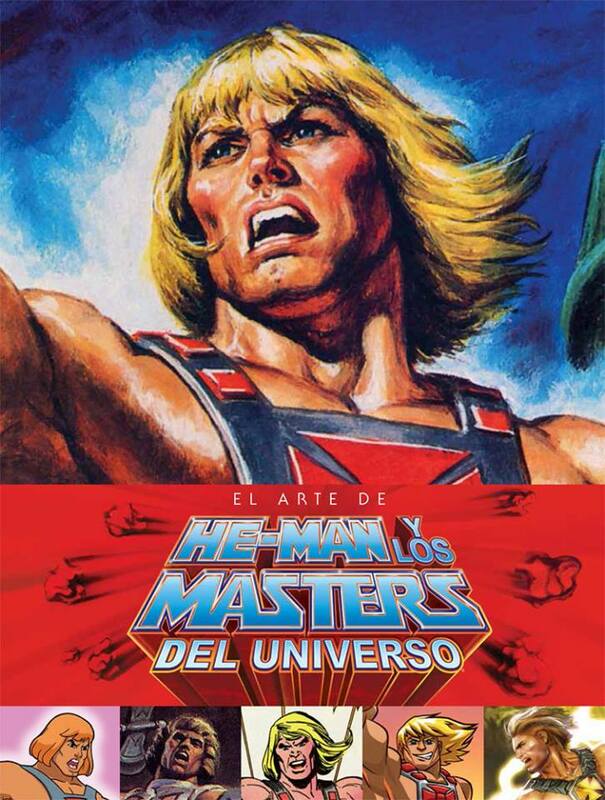 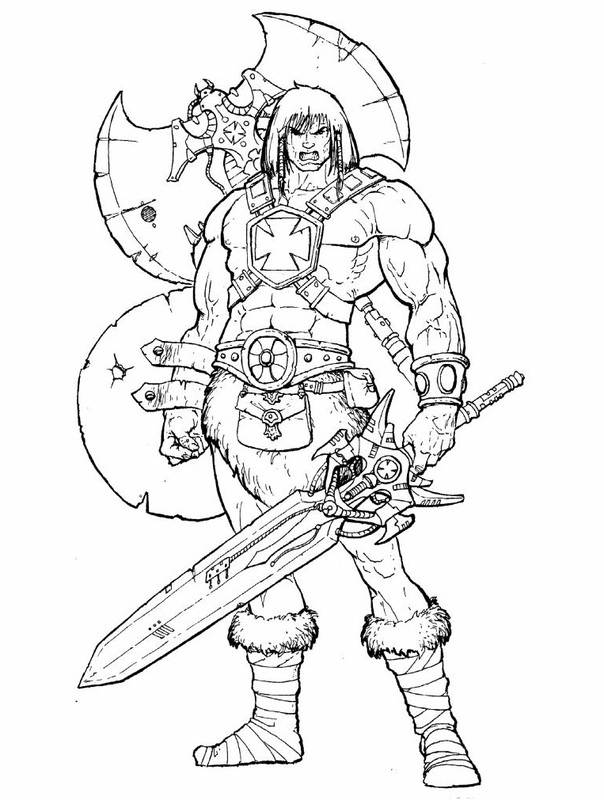 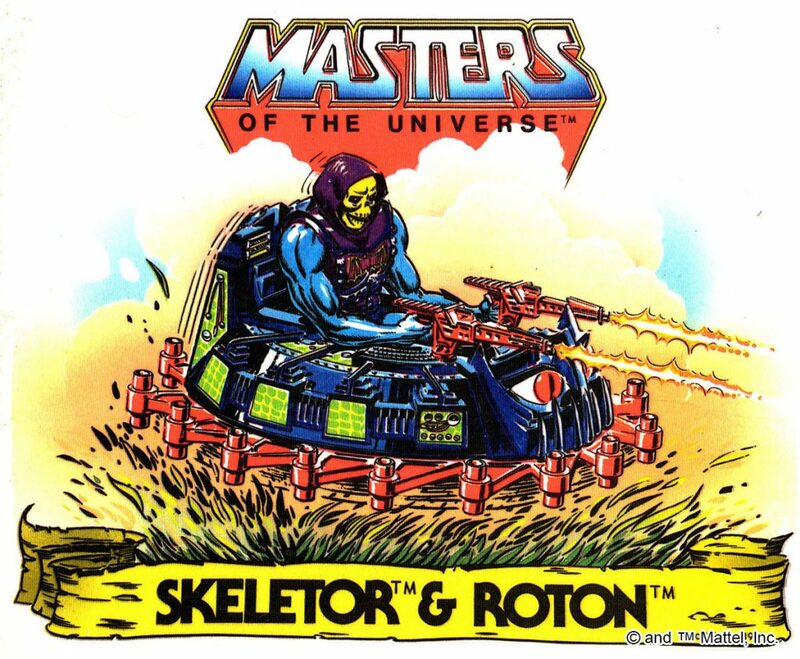 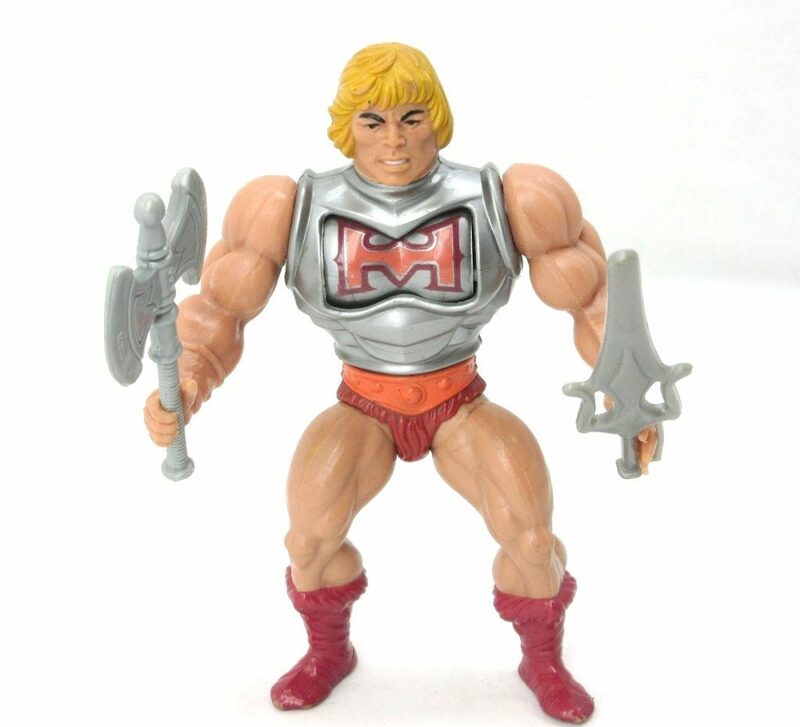 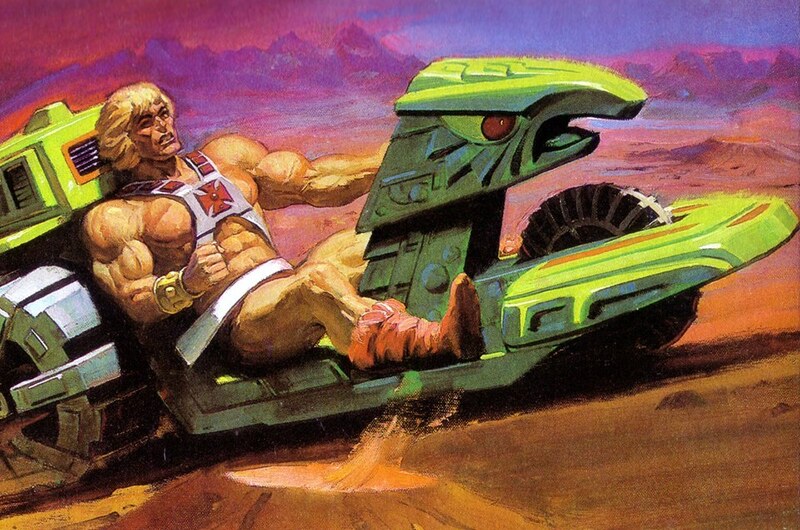 ROTON – when this vehicle’s in the fight, He-Man’s enemies scatter, literally. 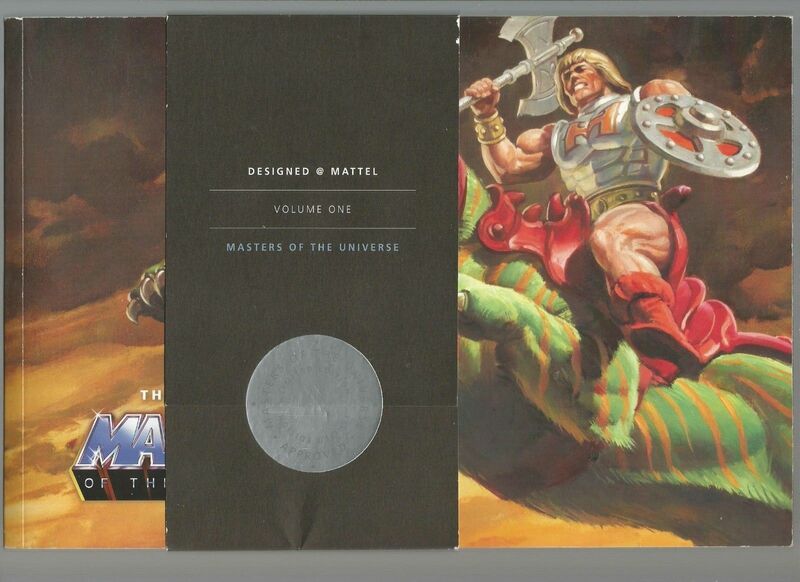 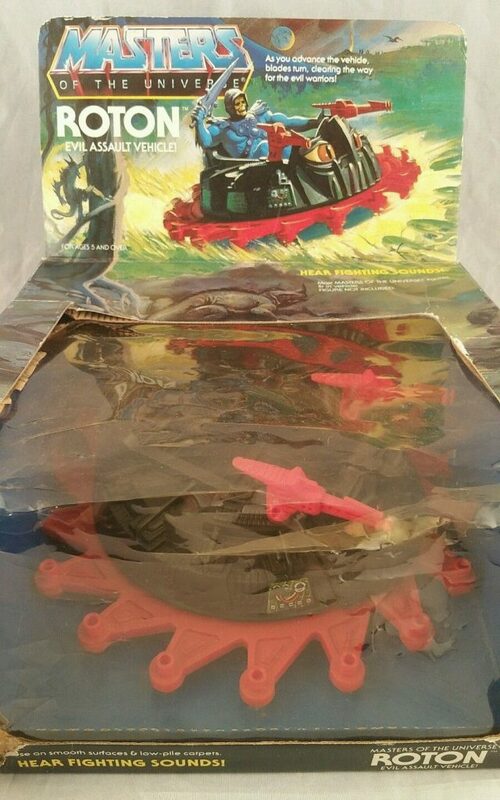 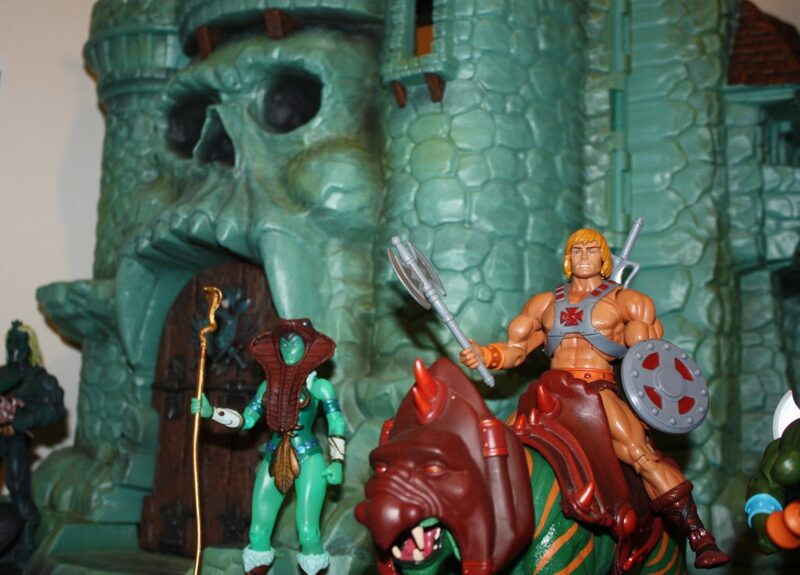 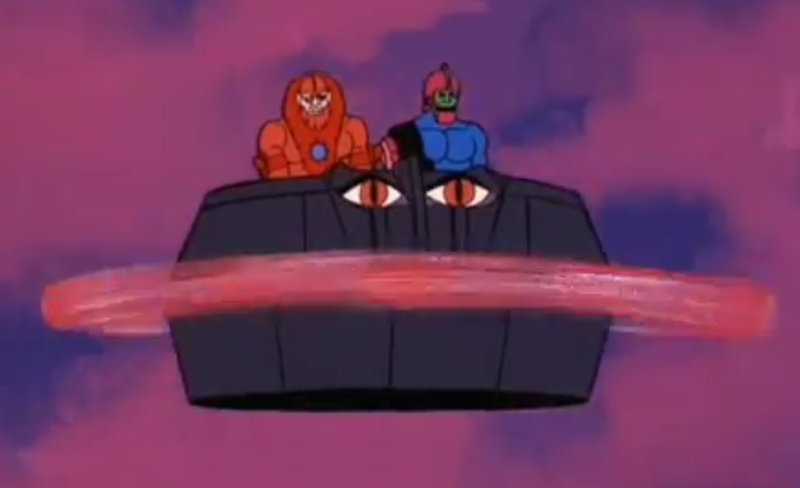 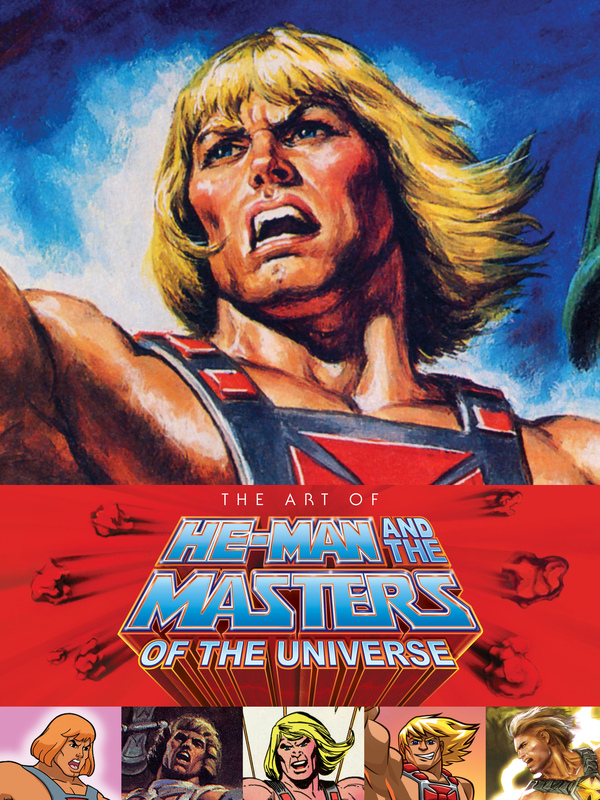 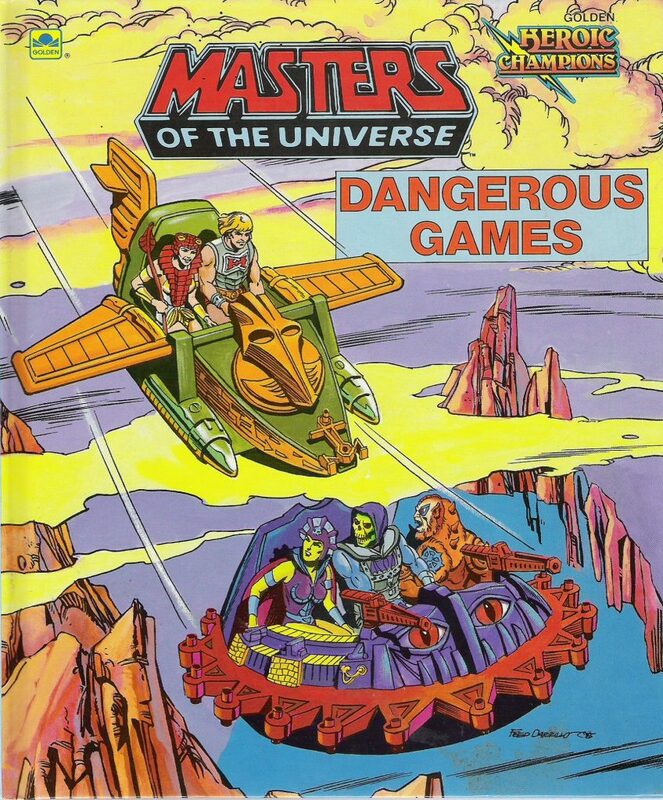 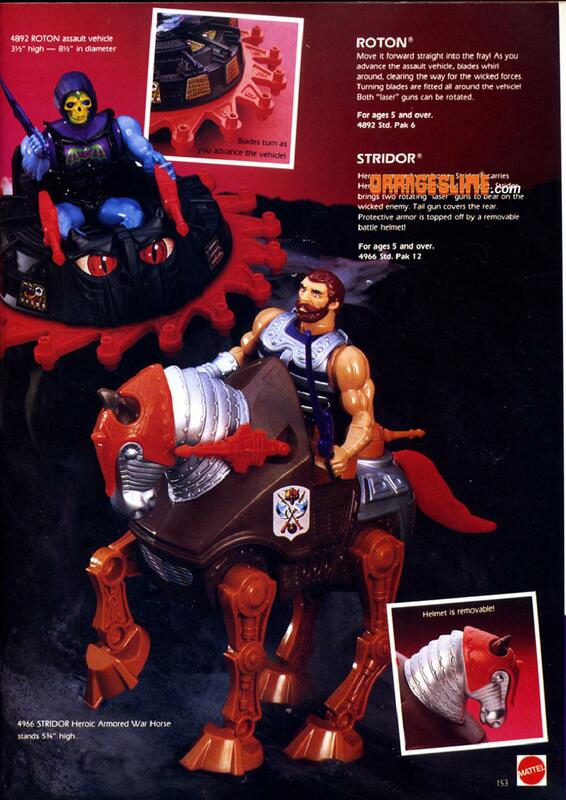 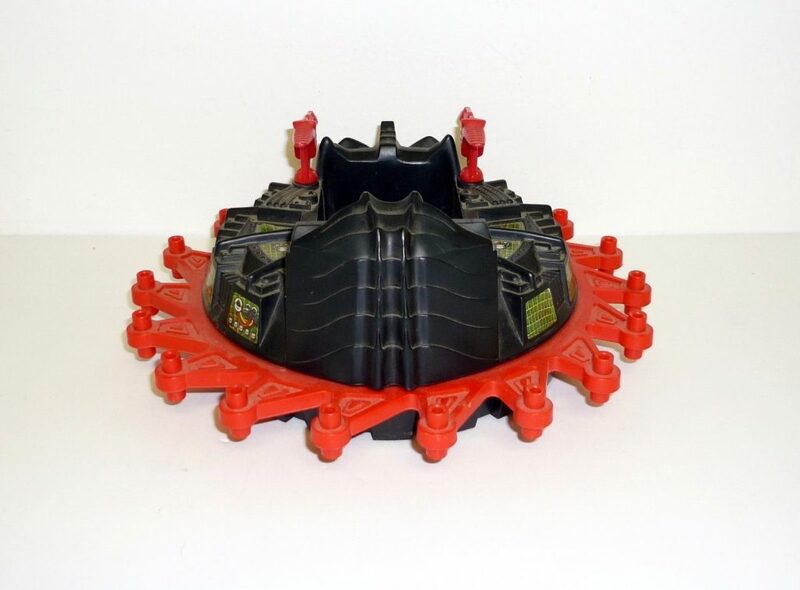 He-Man rides atop the round vehicle which has a swiftly moving buzzsaw sipping around its center. 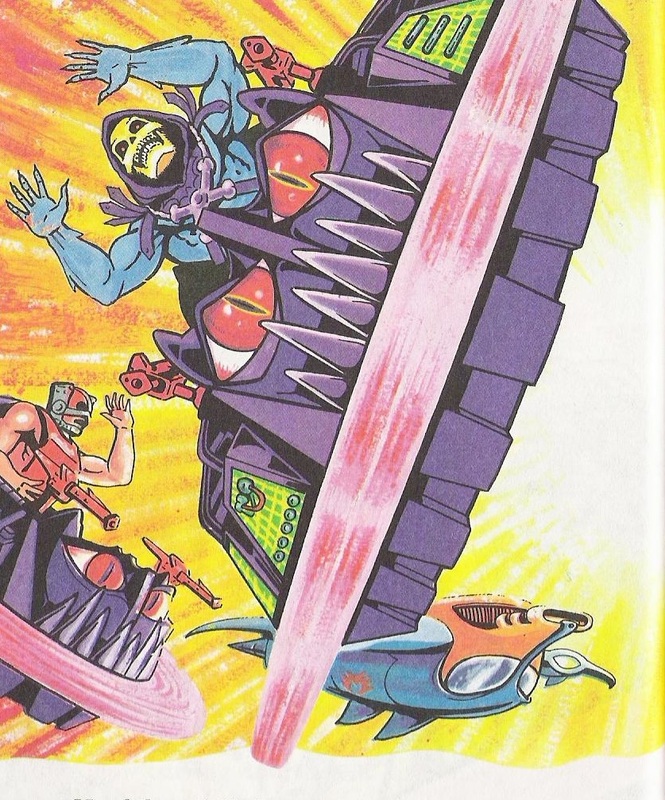 Instead of blades, the buzzsaw’s blunted, club-like appendages sweep away anything or anyone in the way. 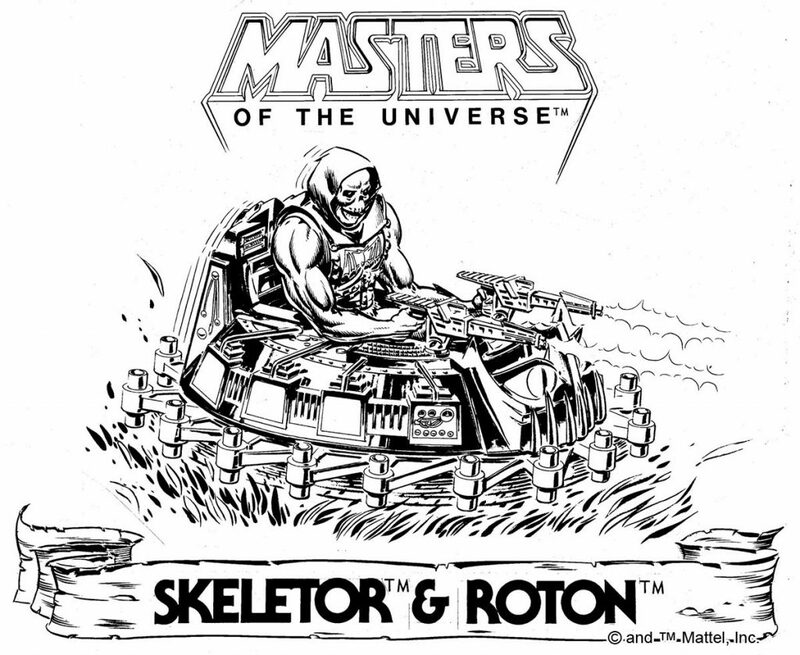 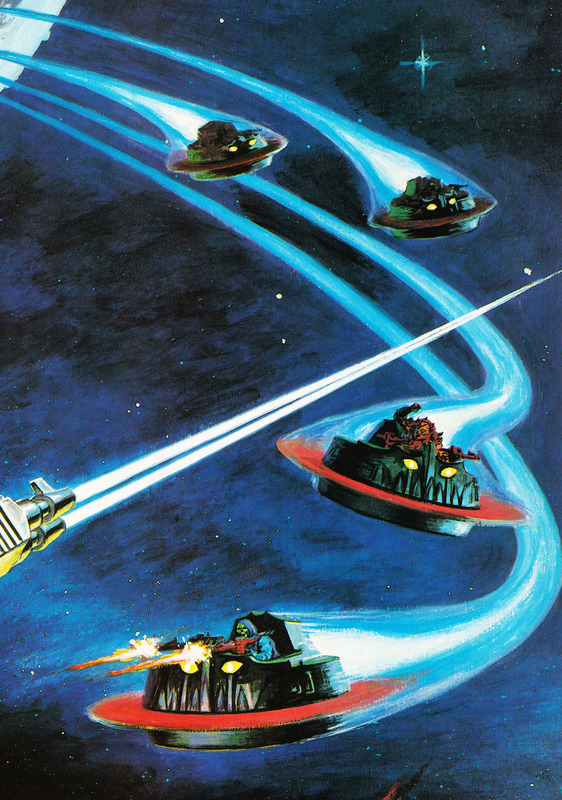 While the Roton seems to have been originally intended as a ground assault vehicle, its spinning blades make it look like it could plausibly fly, and so it was often depicted that way. 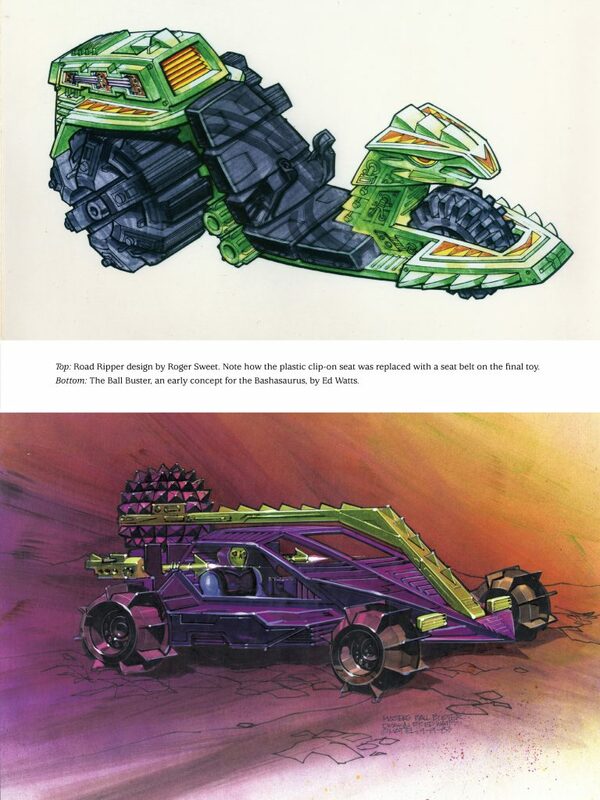 A couple of early concept drawings related to the Roton appear in The Power and the Honor Foundation‘s Catalog Volume One. 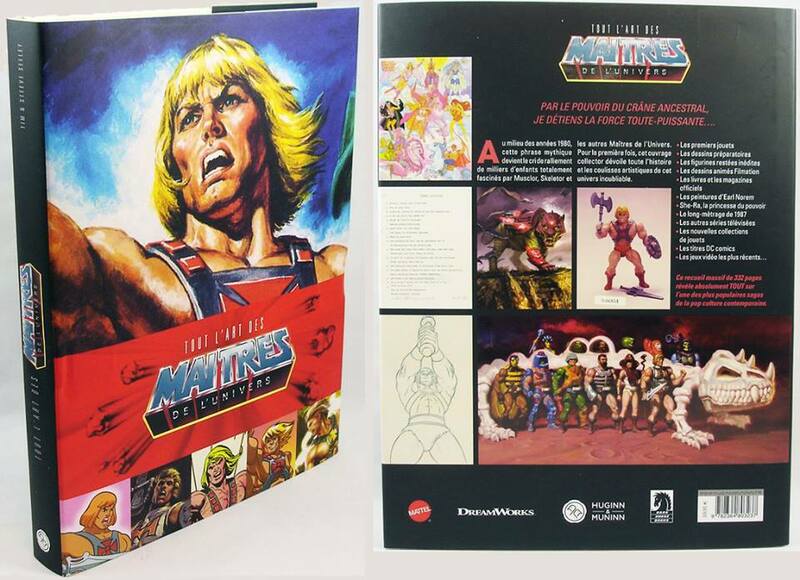 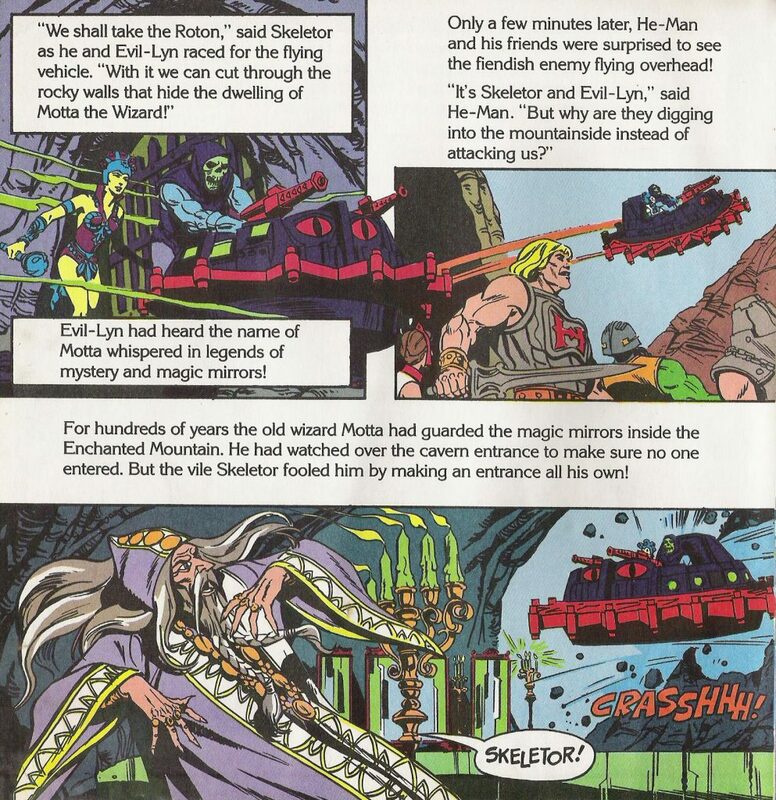 Both are illustrated by Ed Watts. 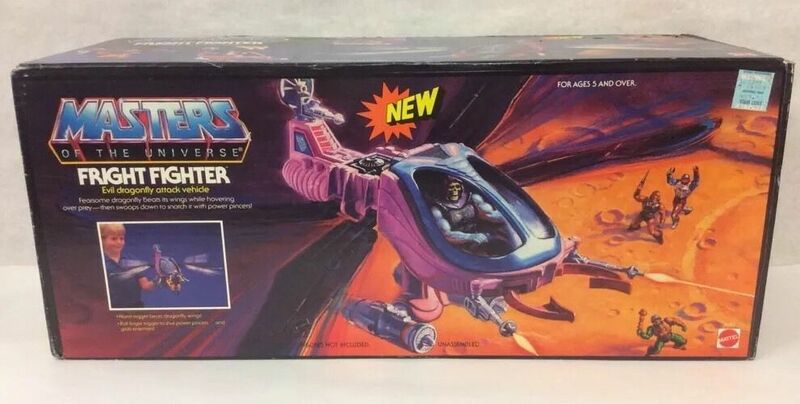 The first is a Roger Sweet concept call the Gyro. 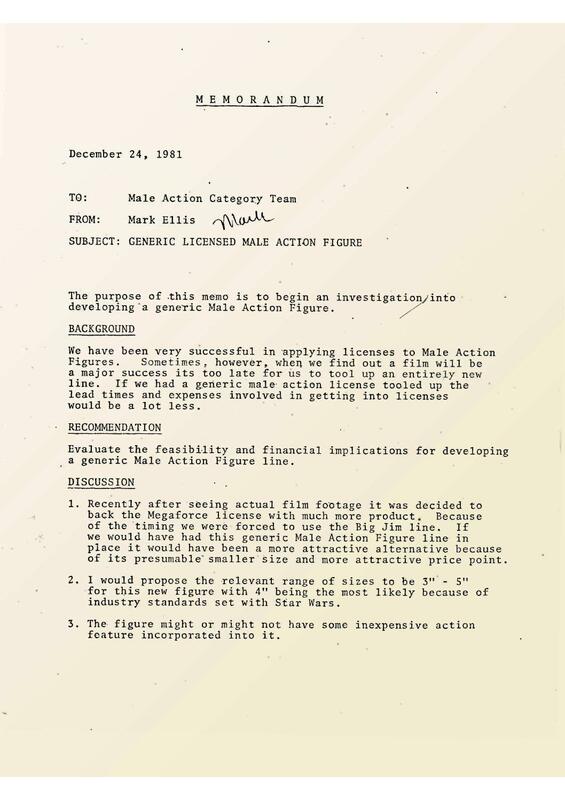 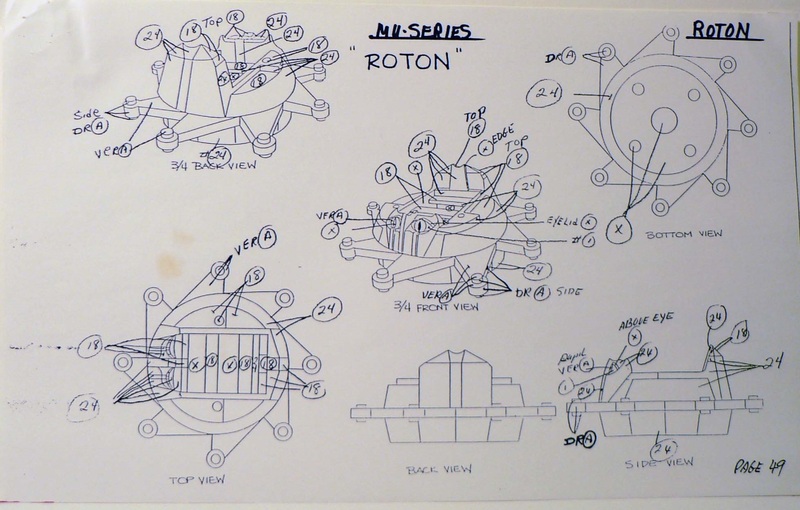 This does not seem to be directly related to the Roton, as the drawing is dated September 17, 1983, and the Roton had its name set already in December of 1982 and the trademark filed on August 22, 1983. 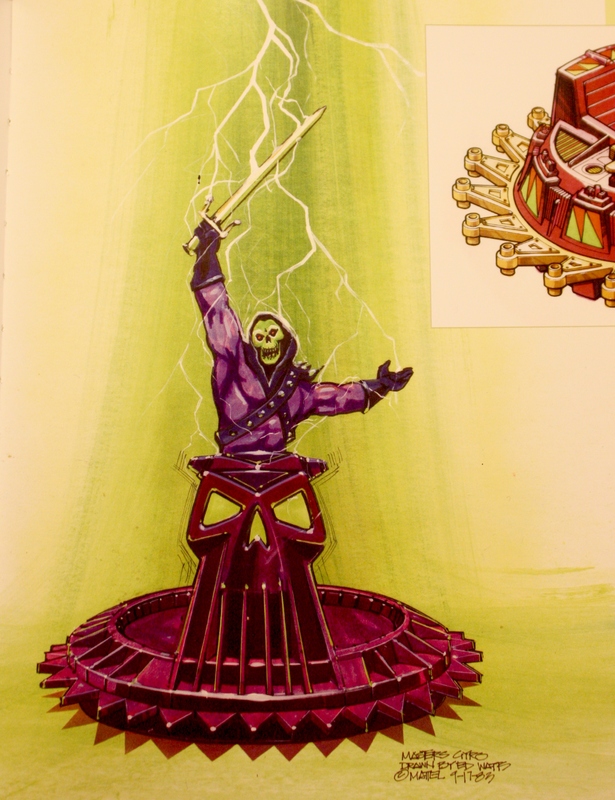 Still, the rotating blade concept is very similar. 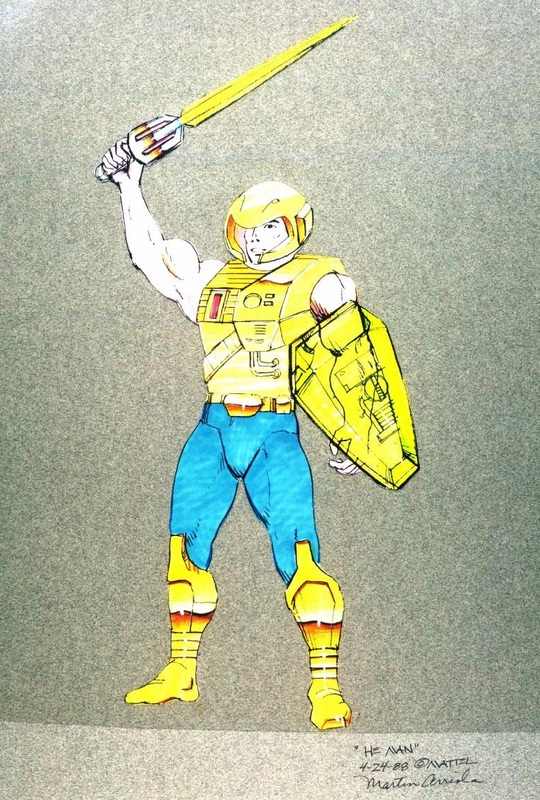 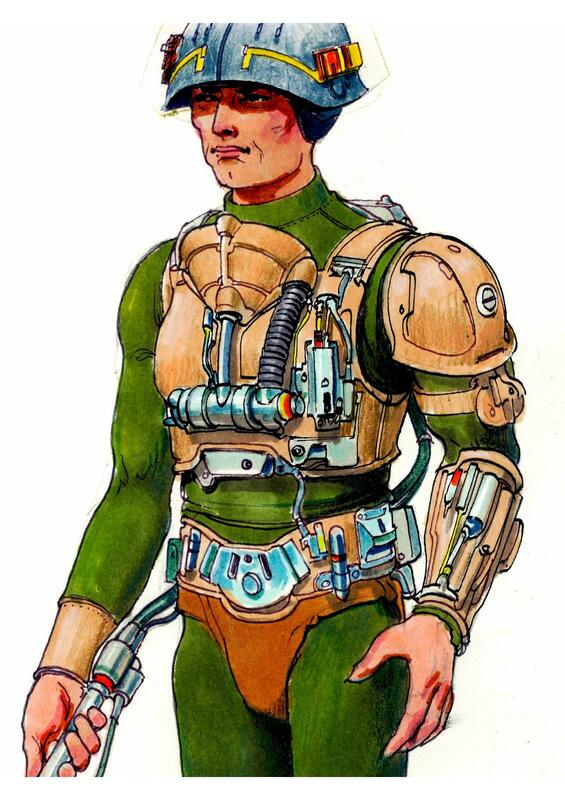 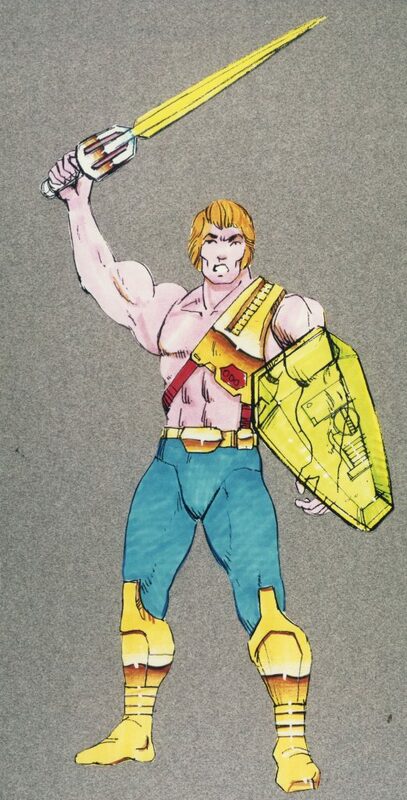 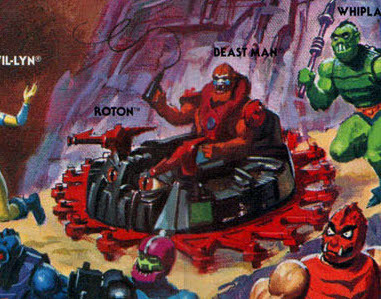 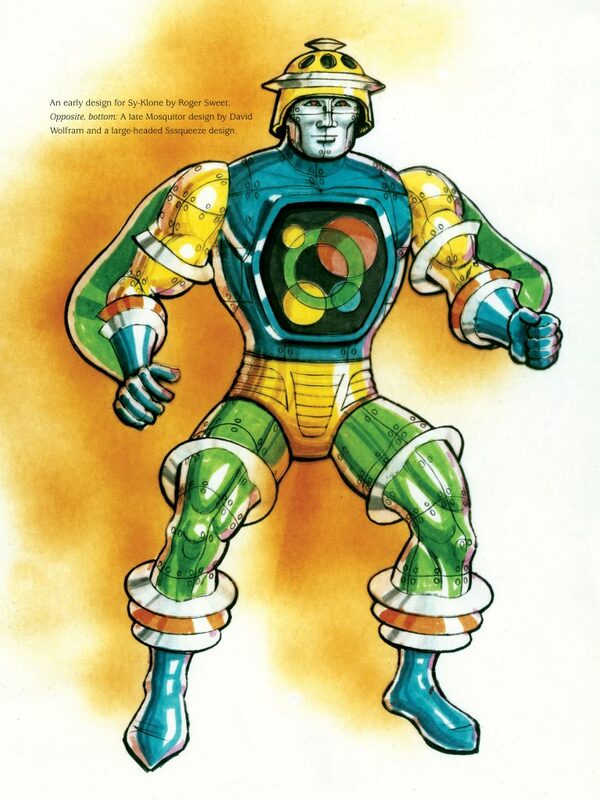 This undated drawing by Ed Watts shows a Roton that bears close resemblance to the final toy, with some key differences. 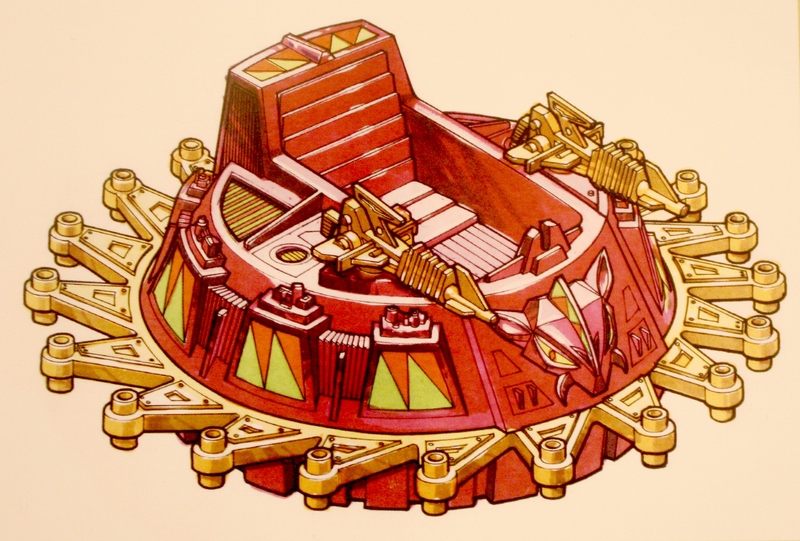 The color scheme is red and white. 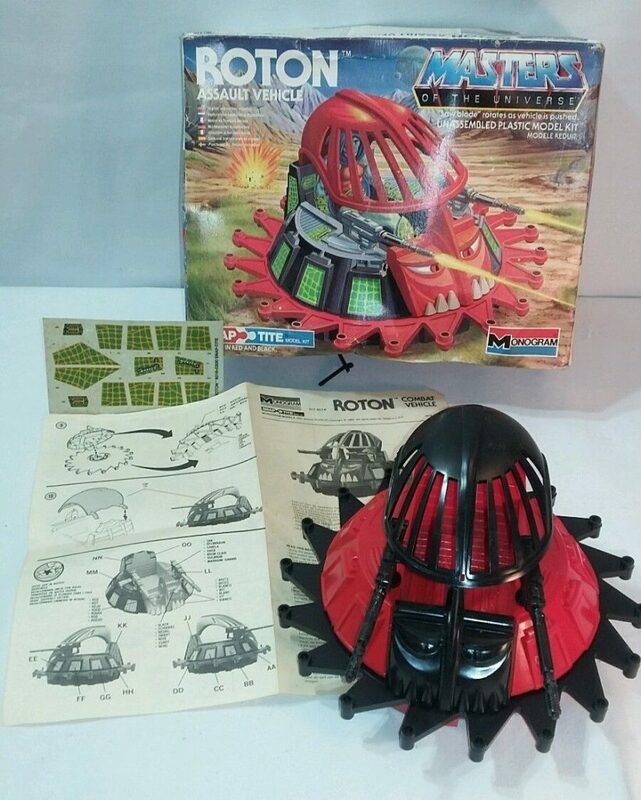 The design around the sides is in keeping with the look of the final toy, except the decals are simple triangular shapes. 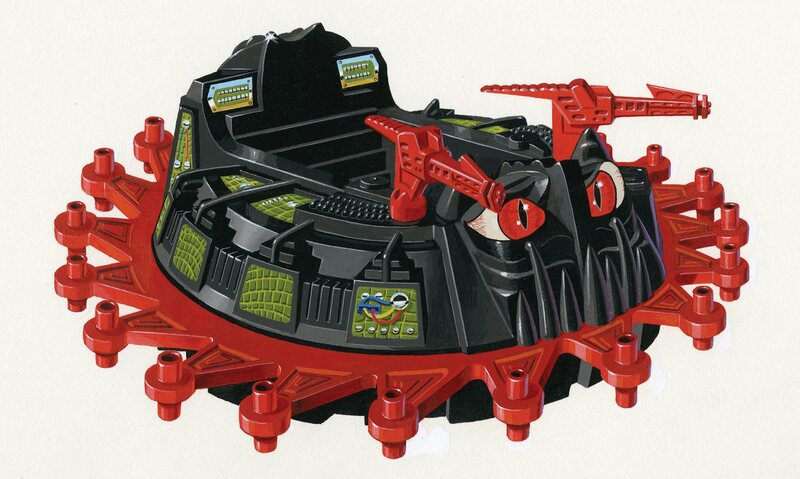 The face on the front is quite different, as is the design of the seat back. 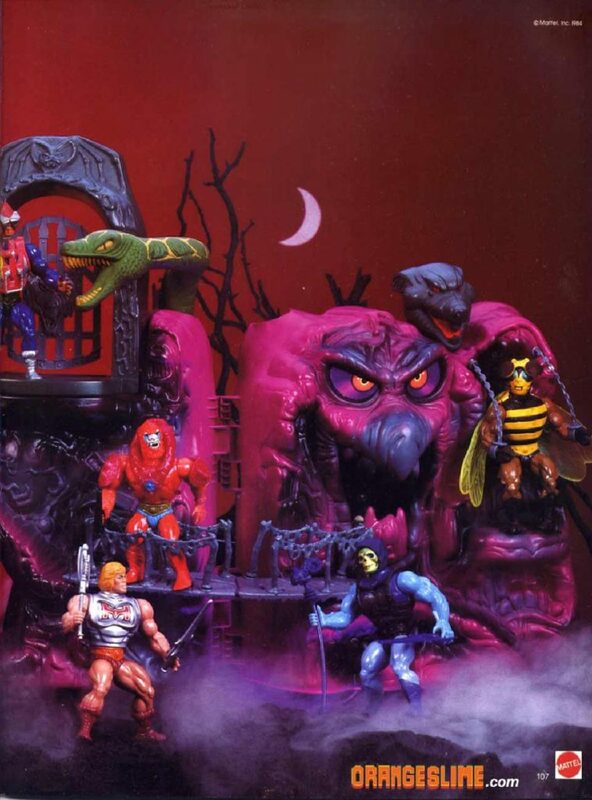 All in all this version looks much less monstrous. 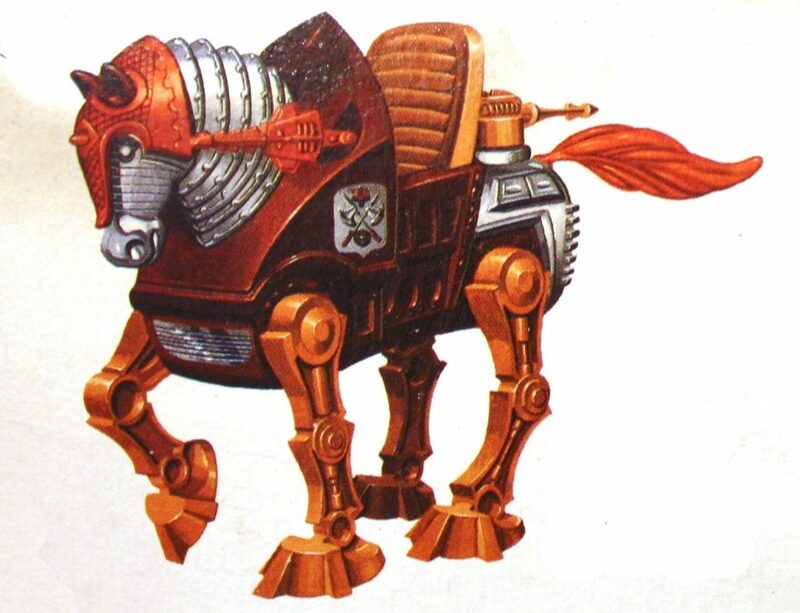 I would guess that at this point it was still intended to be a heroic vehicle. 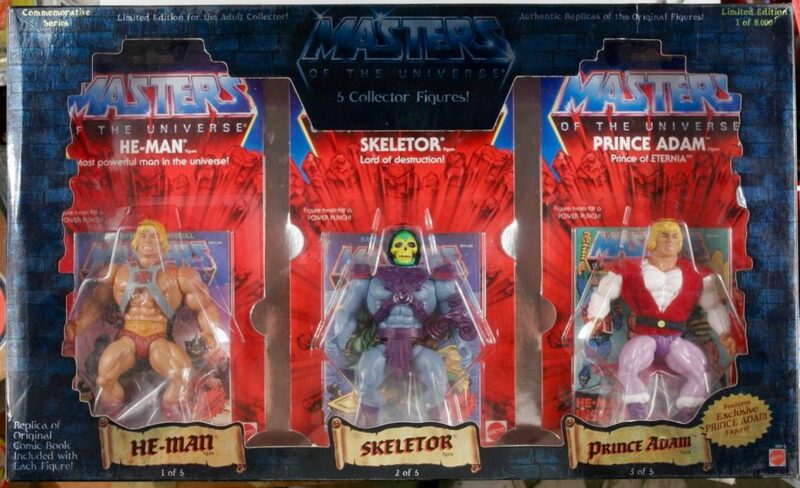 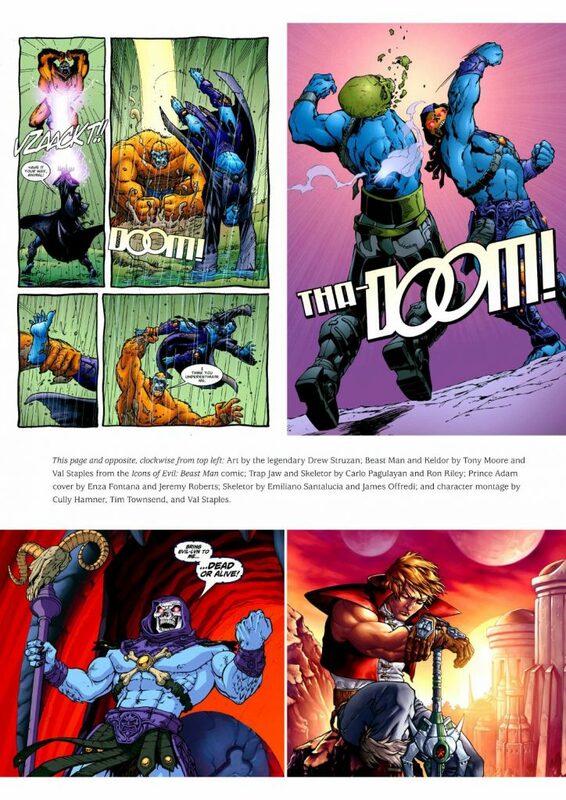 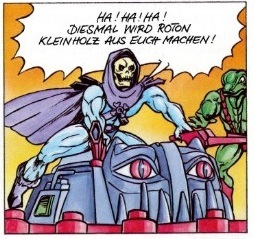 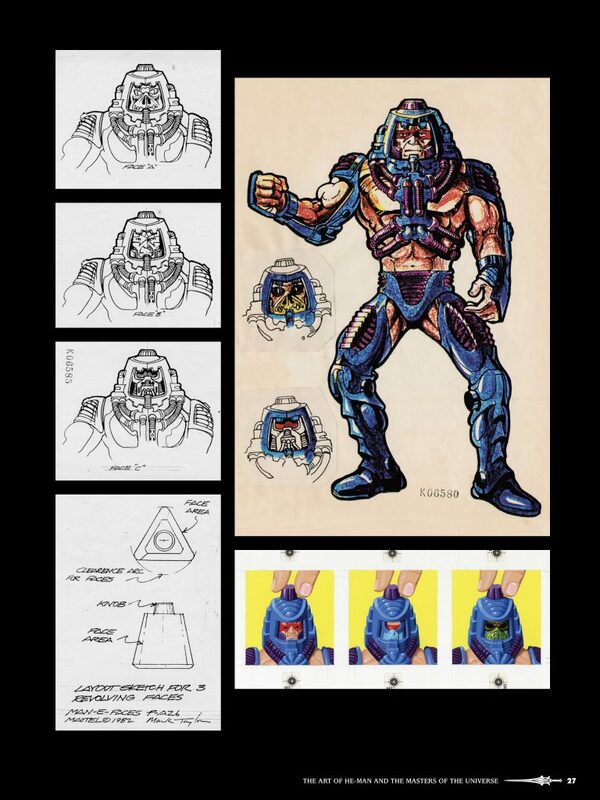 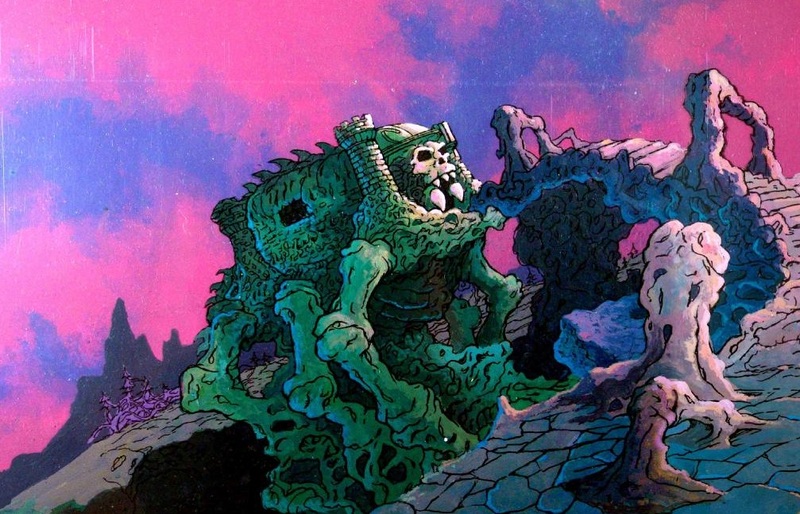 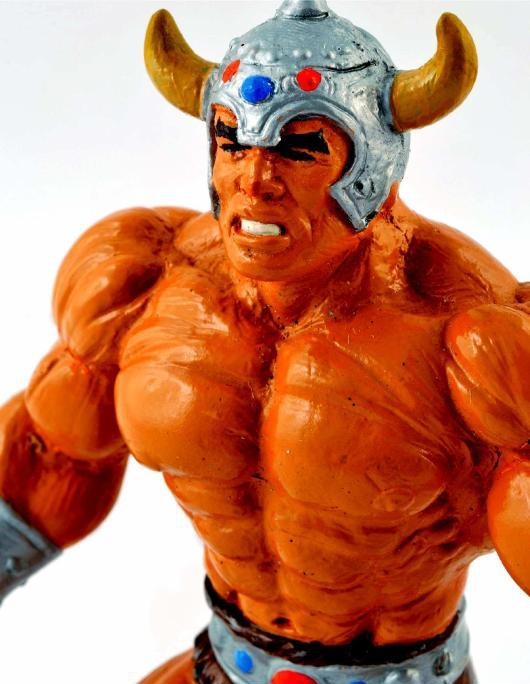 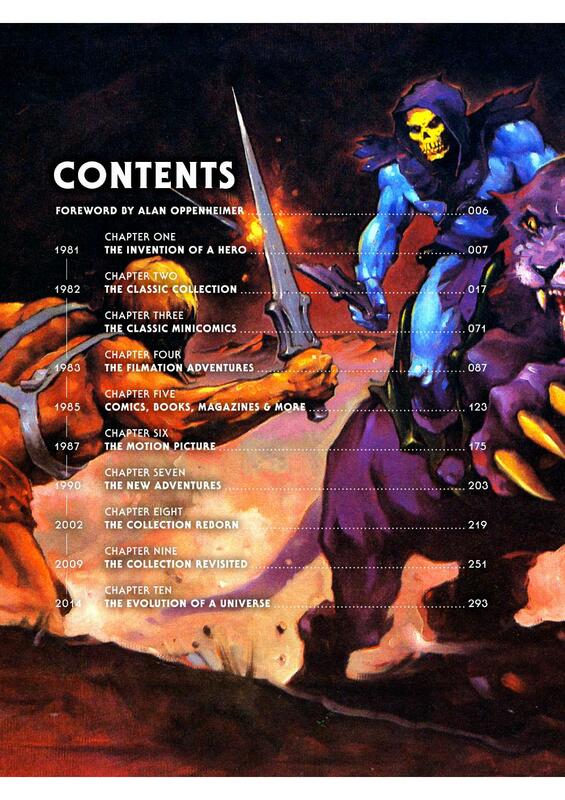 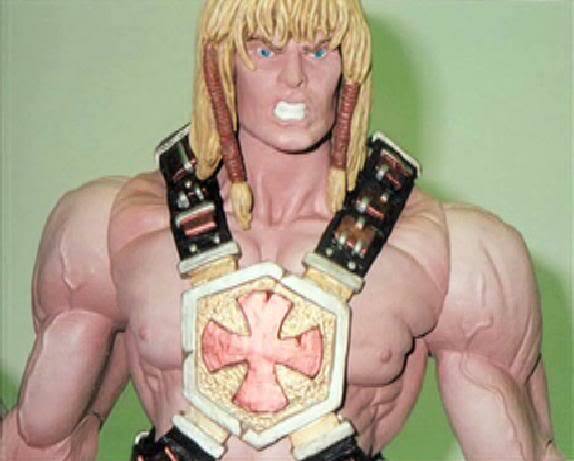 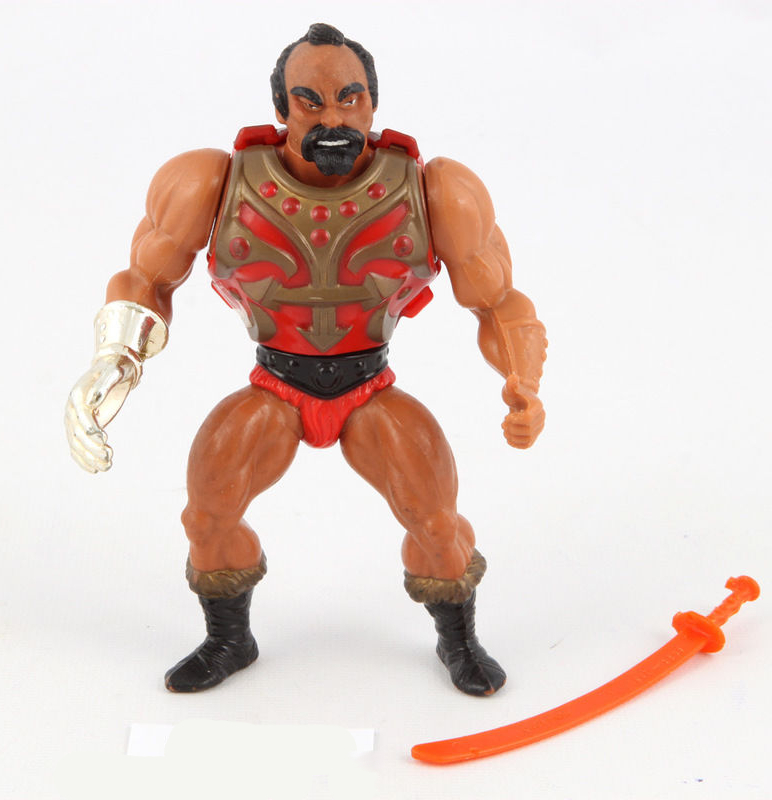 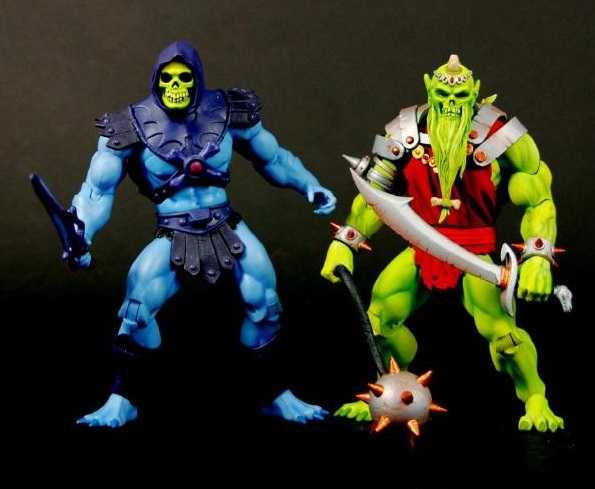 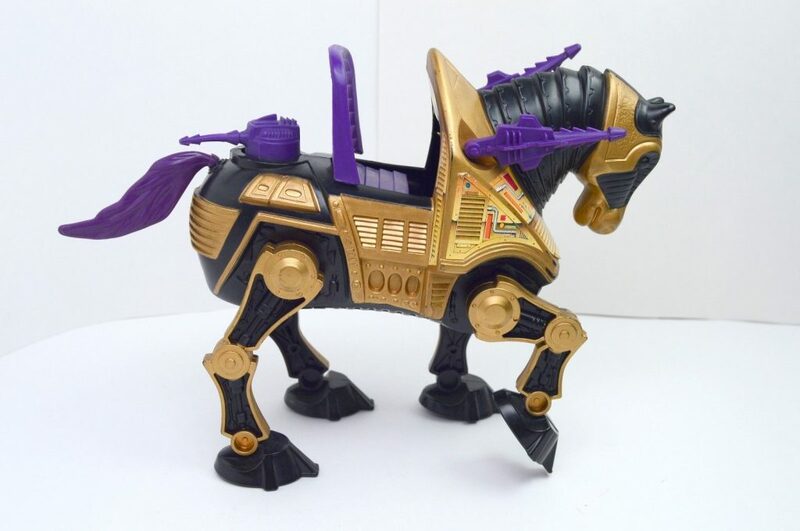 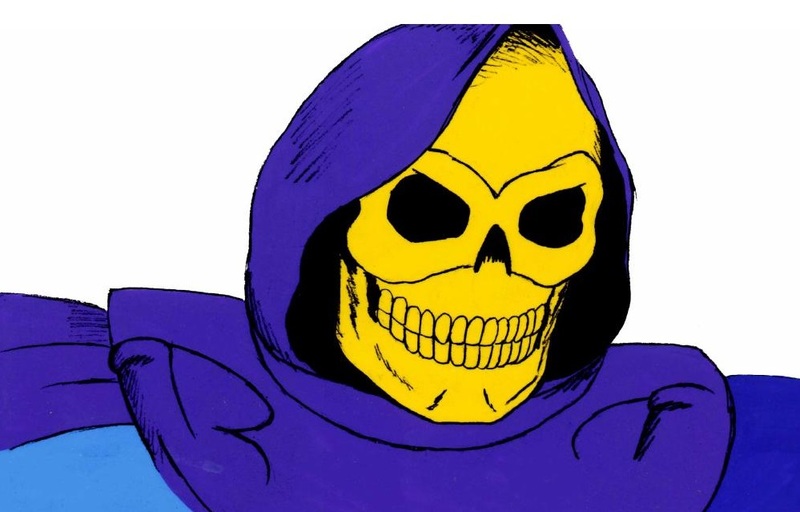 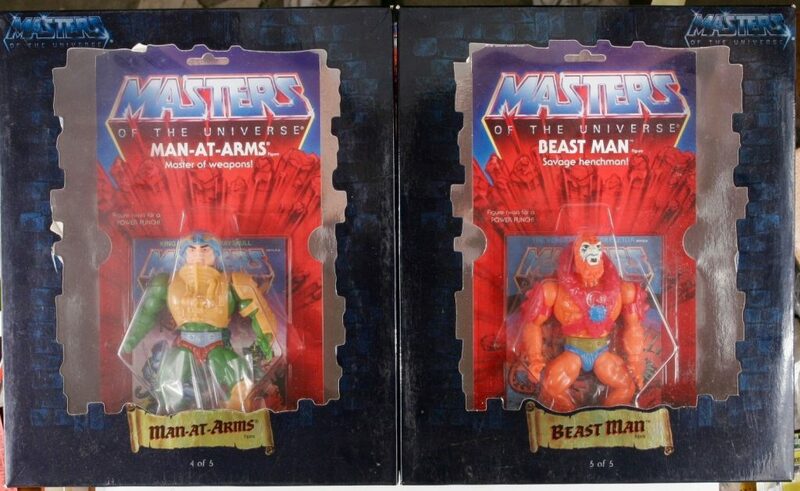 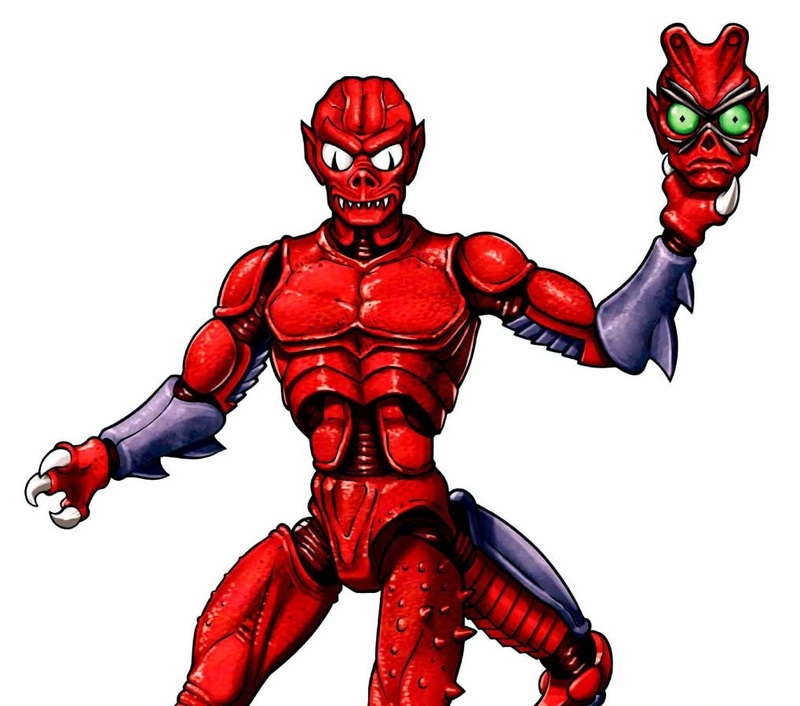 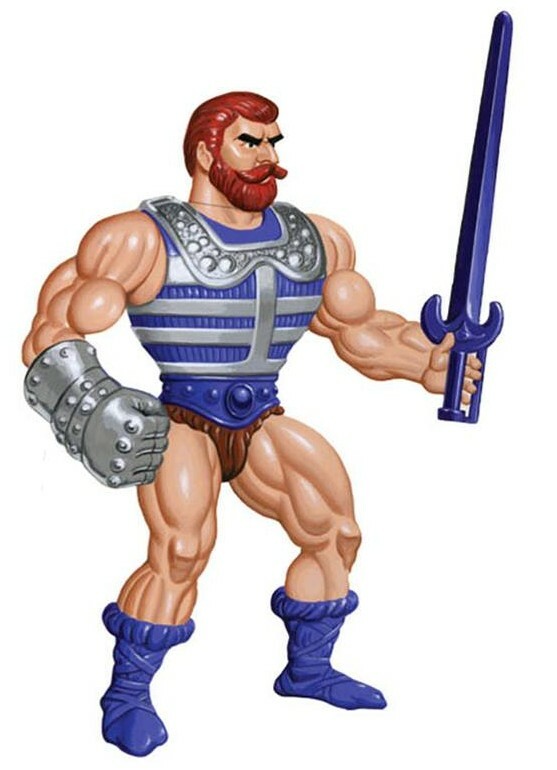 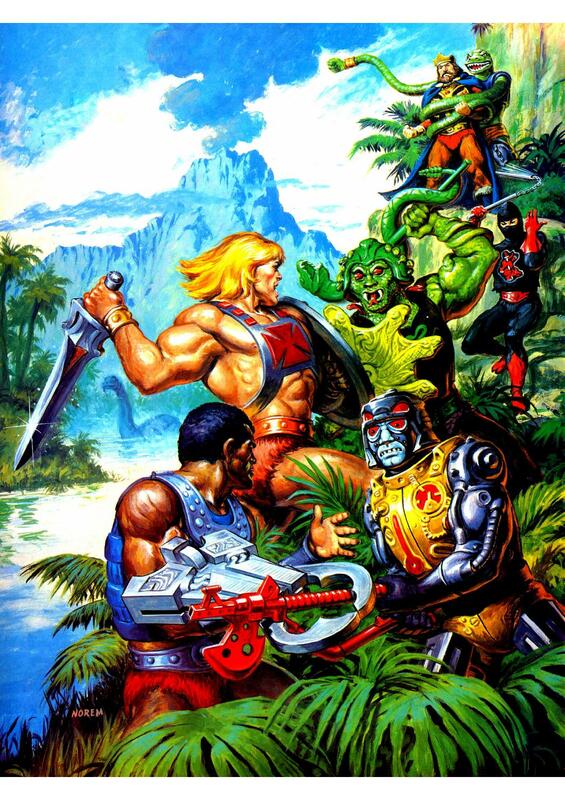 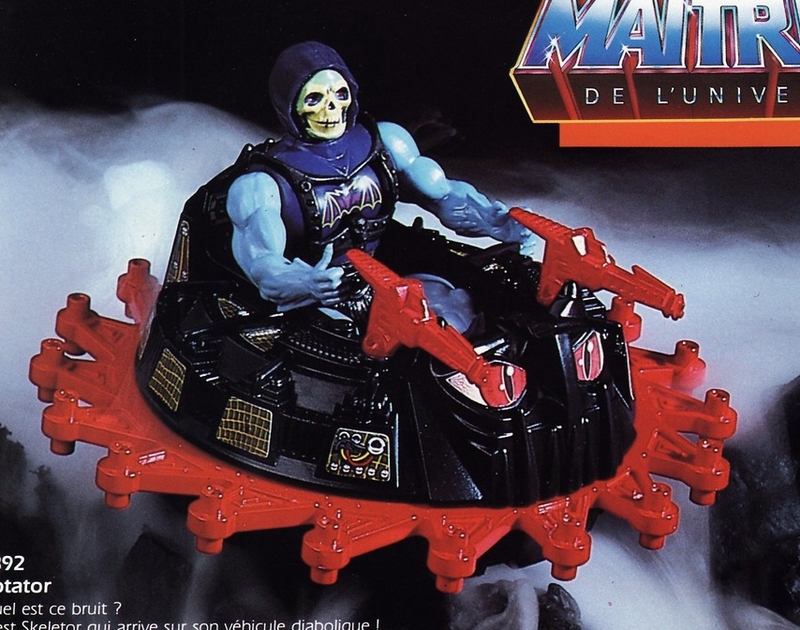 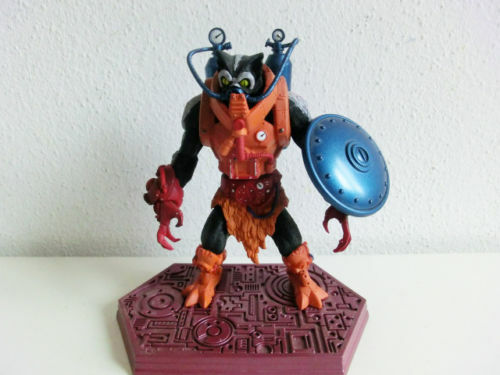 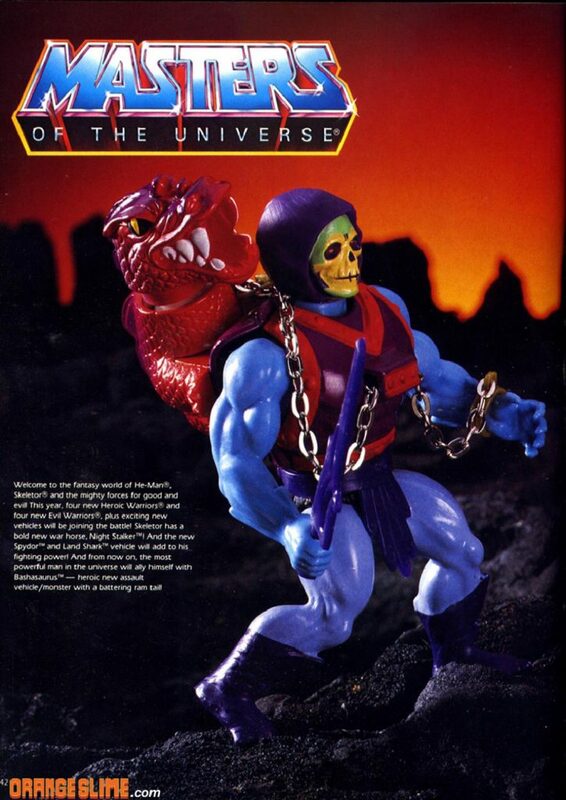 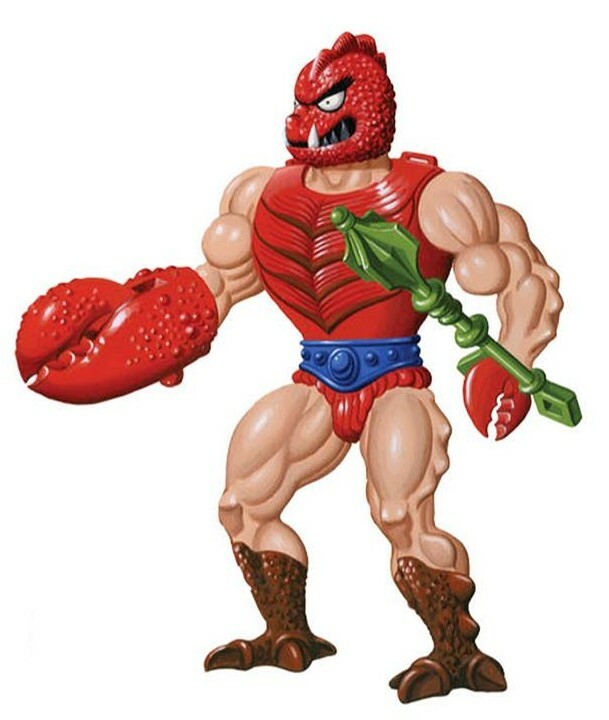 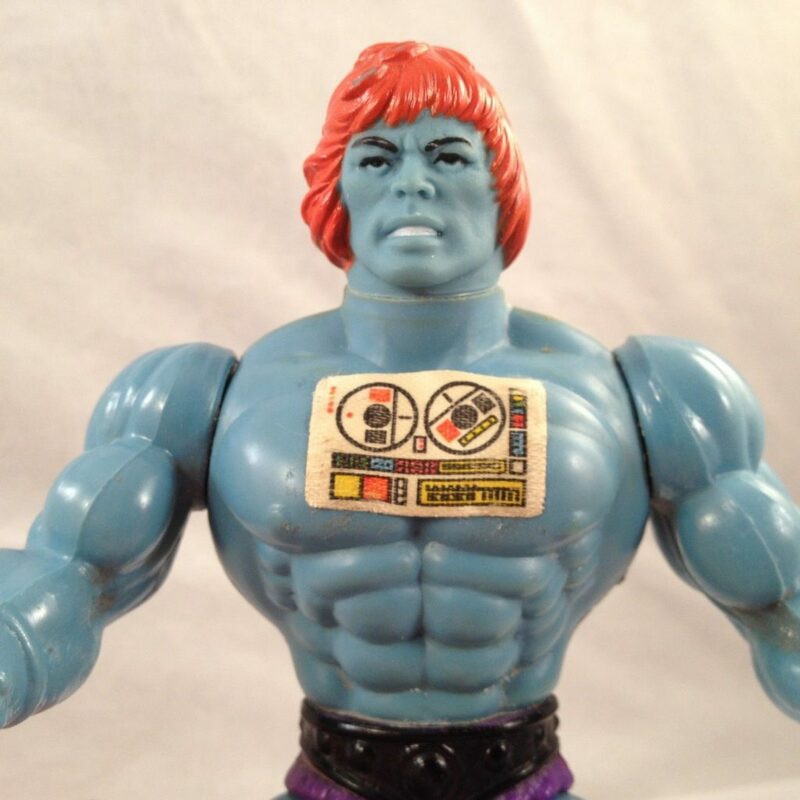 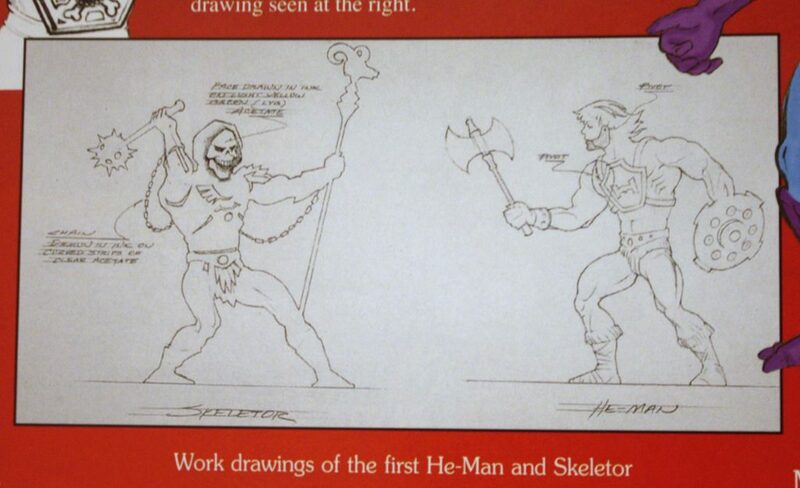 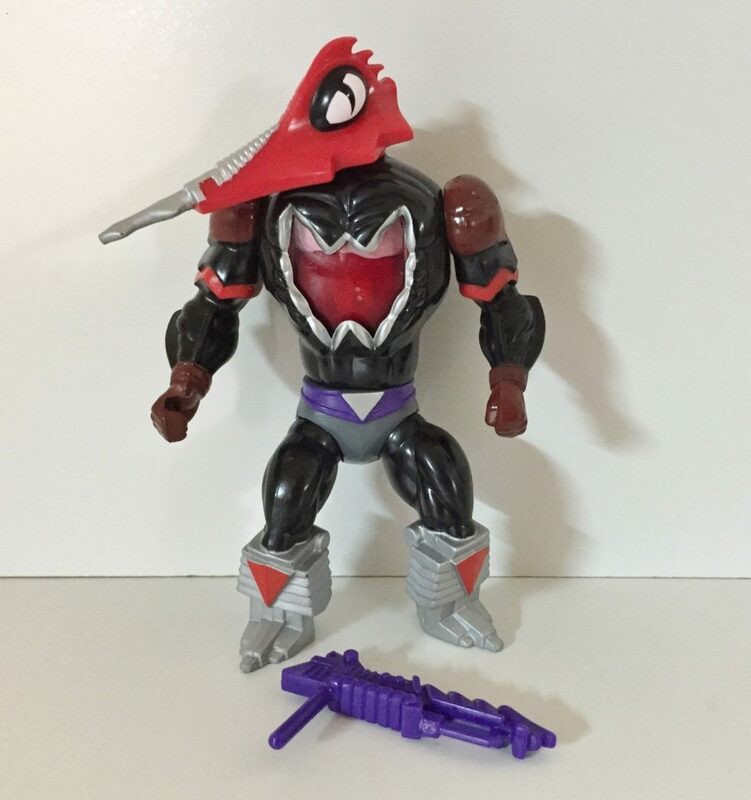 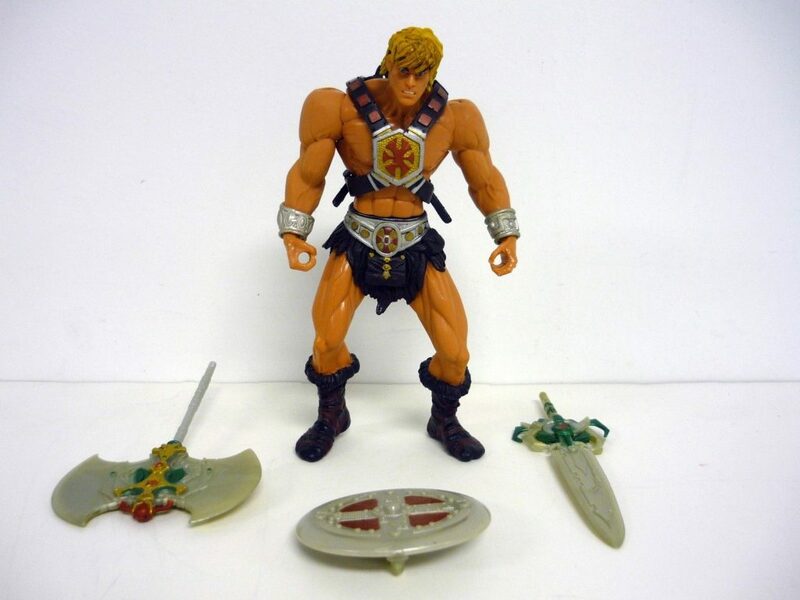 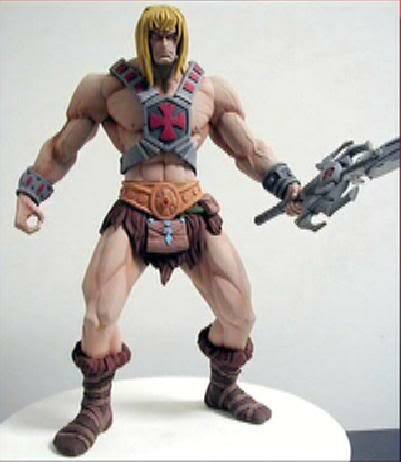 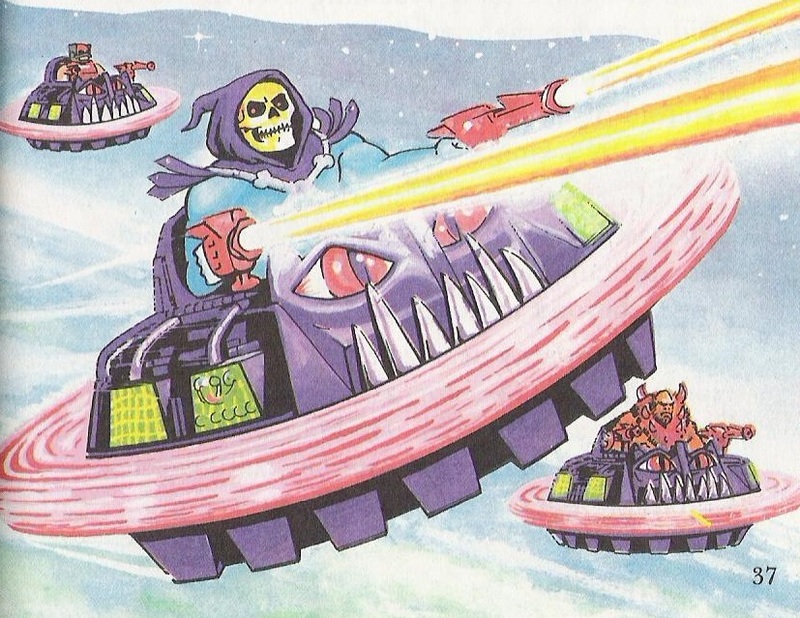 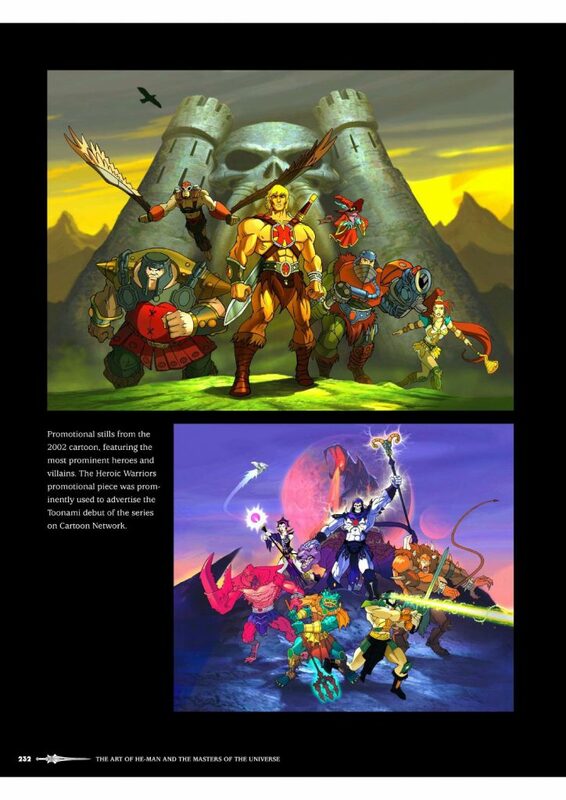 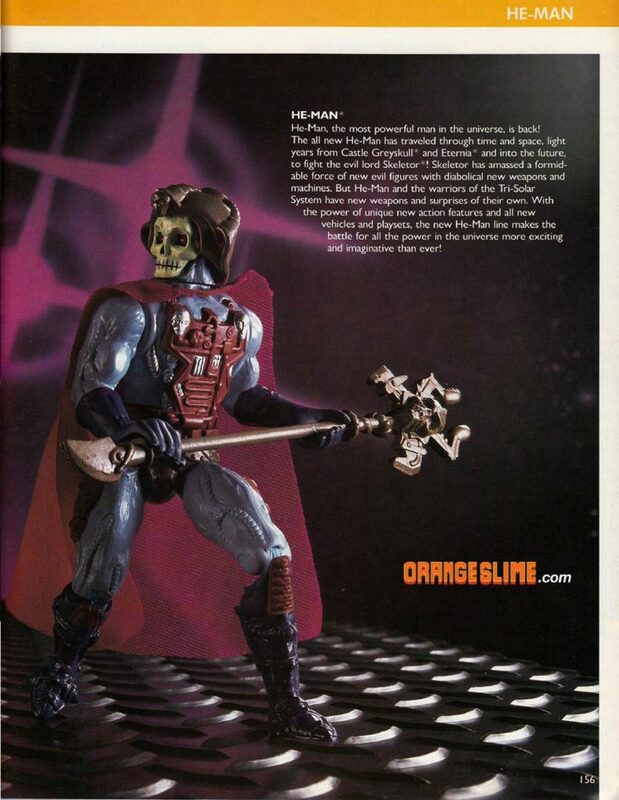 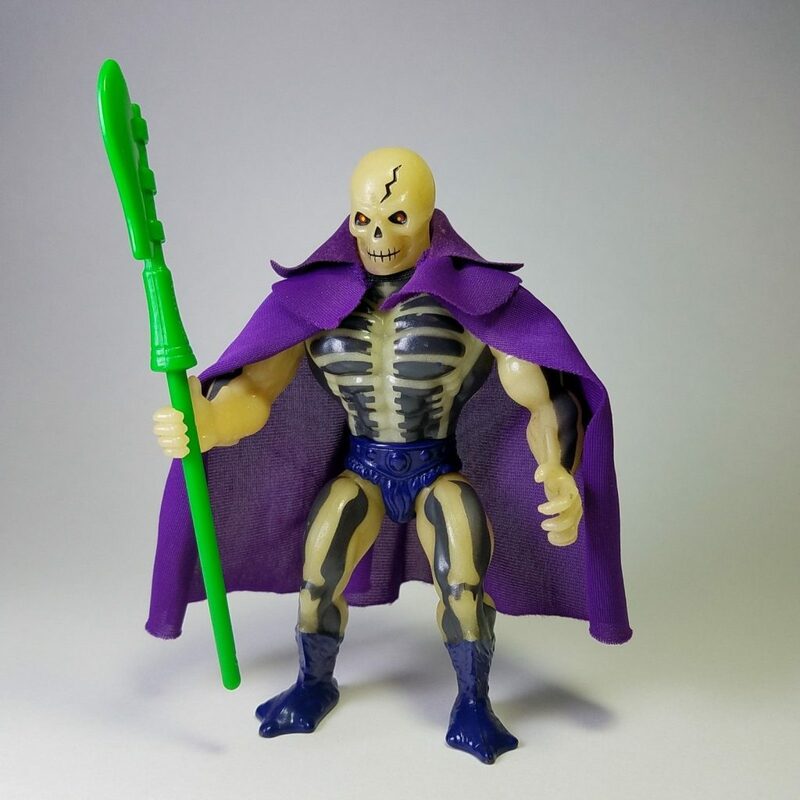 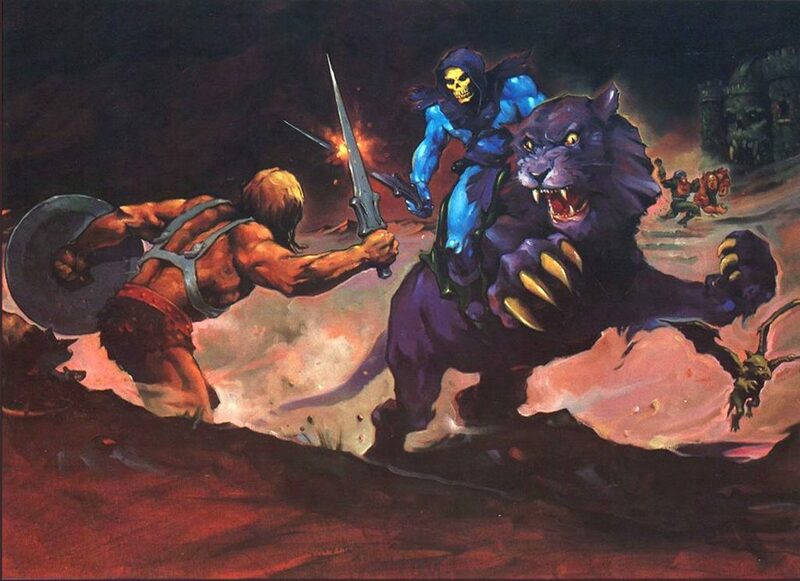 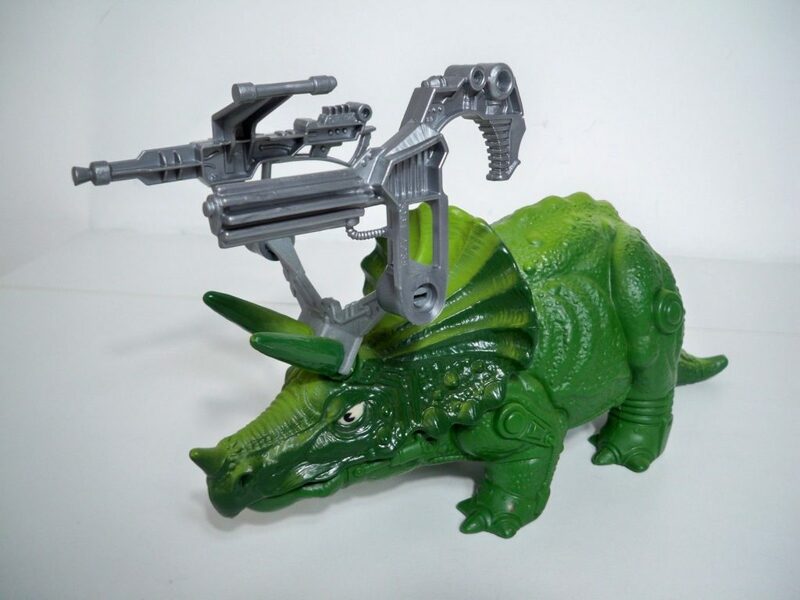 The above cross sell art, which matches exactly the look of the final toy, shows what changes were made to make the Roton fit with Skeletor’s crew. 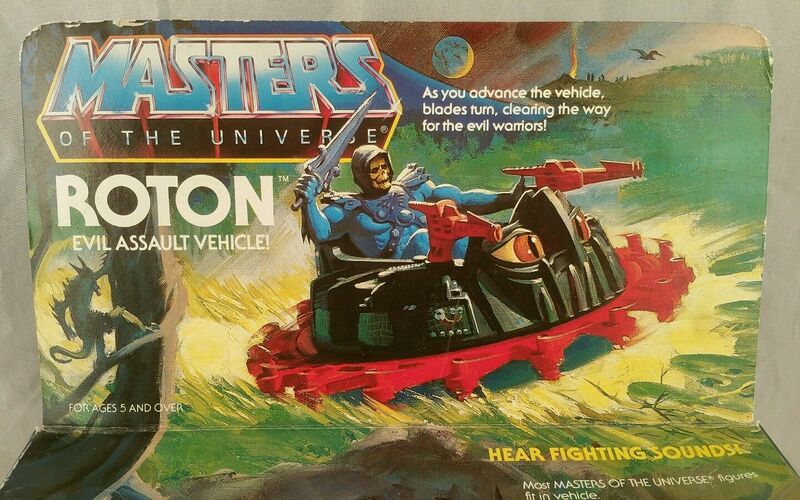 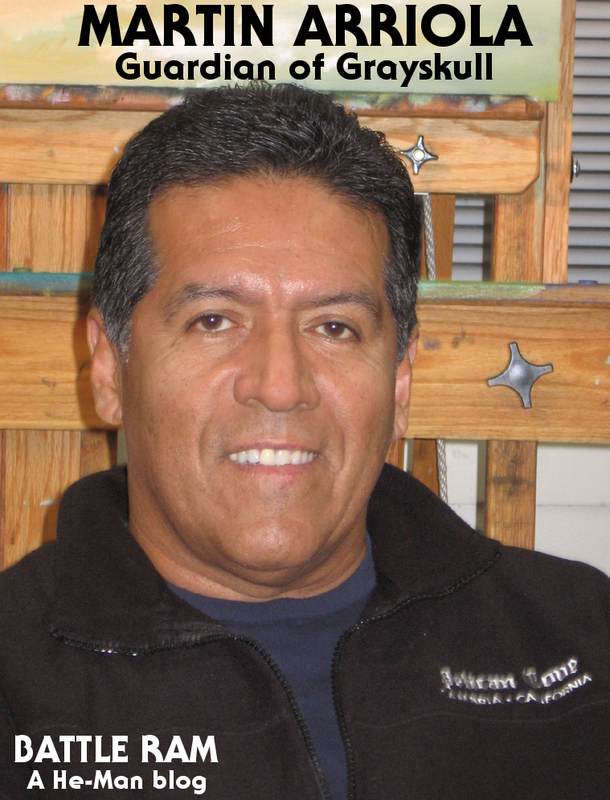 The vehicle was now black, with red blades. 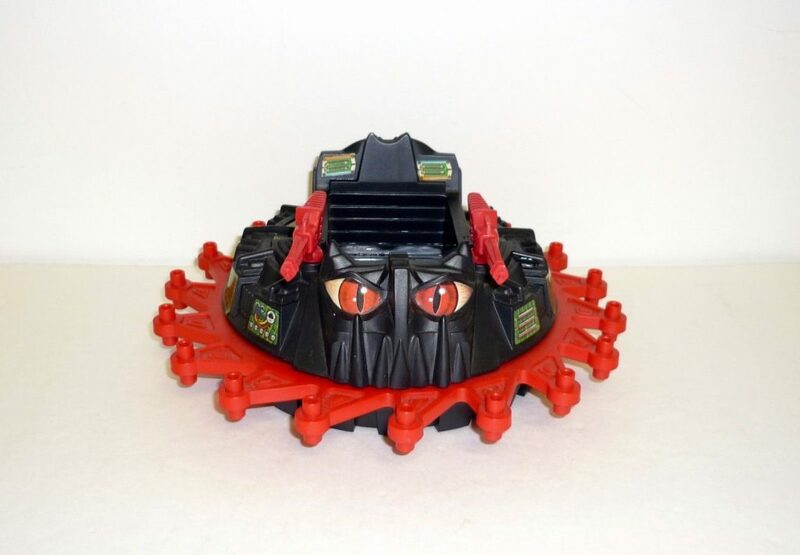 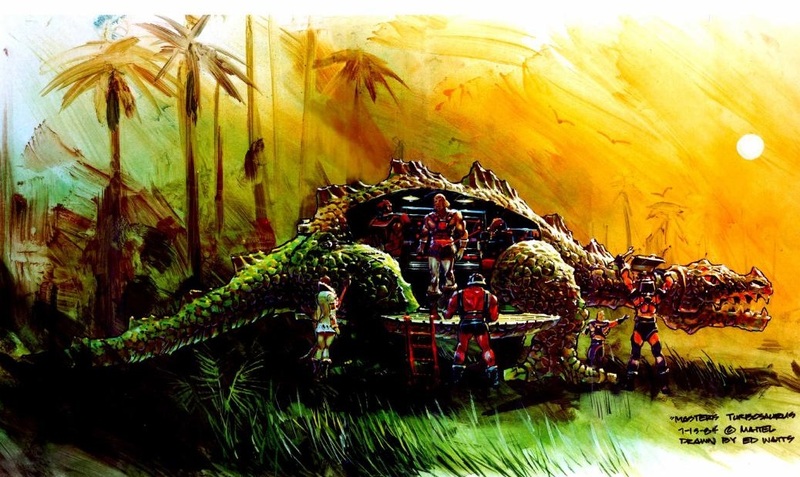 The face on the front became much more monstrous, and organic-looking spiny plates were added to the back side of the vehicle. 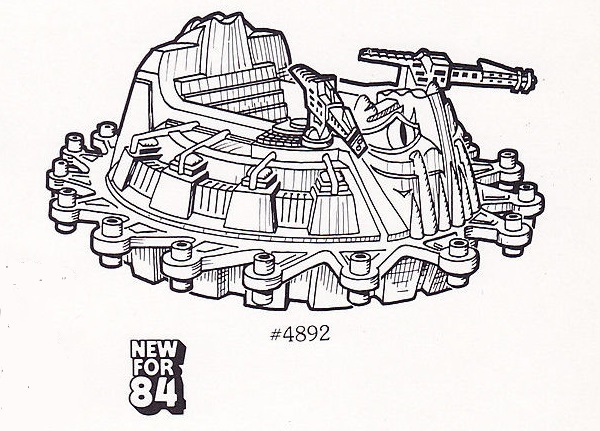 The shape of the twin guns on the front was also overhauled. 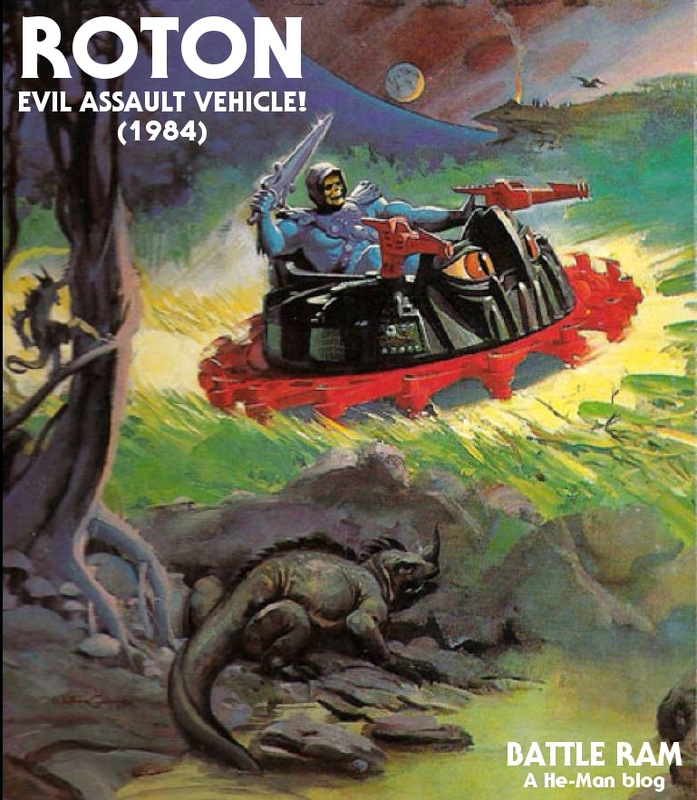 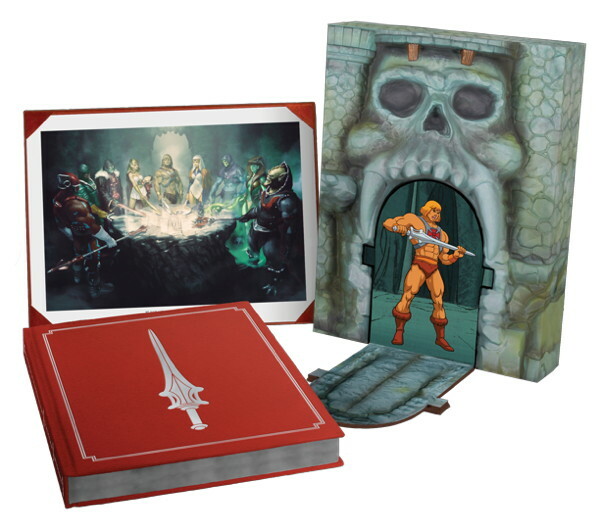 William George did the packaging artwork for the Roton. 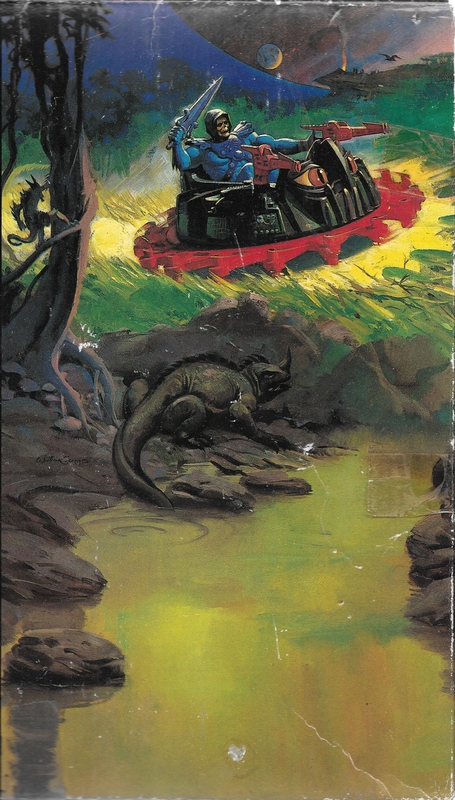 In his illustration, the vehicle is cruising along the ground, as a lizard and a tiny demon-like creature look on. 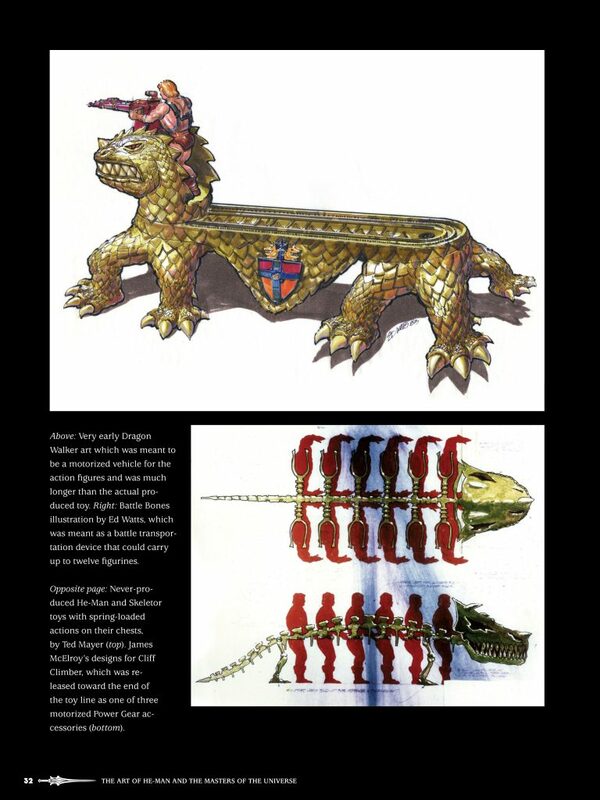 George often included little creatures like this in his artwork. 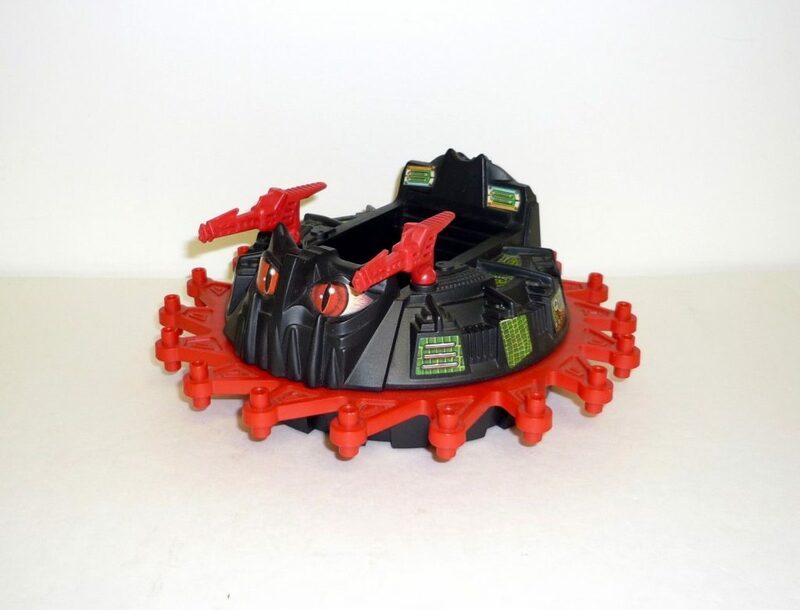 The toy itself is relatively compact and simple. 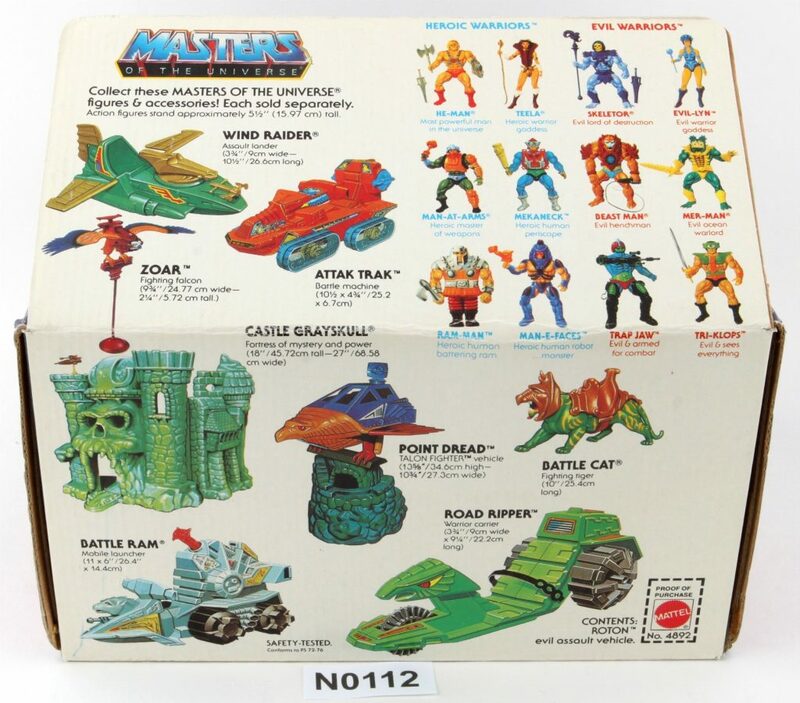 No batteries were required. 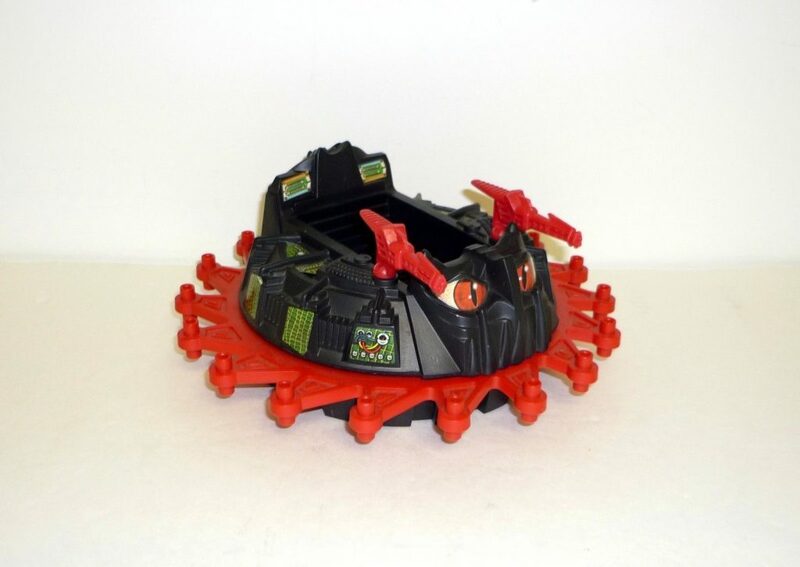 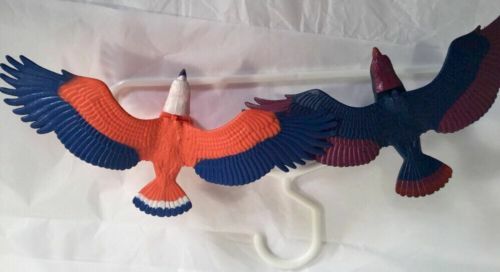 You simply rolled it along the ground, and an internal set of gears would cause the buzz saw to rotate with a satisfying (or annoying, if you’re a parent) clicking sound. 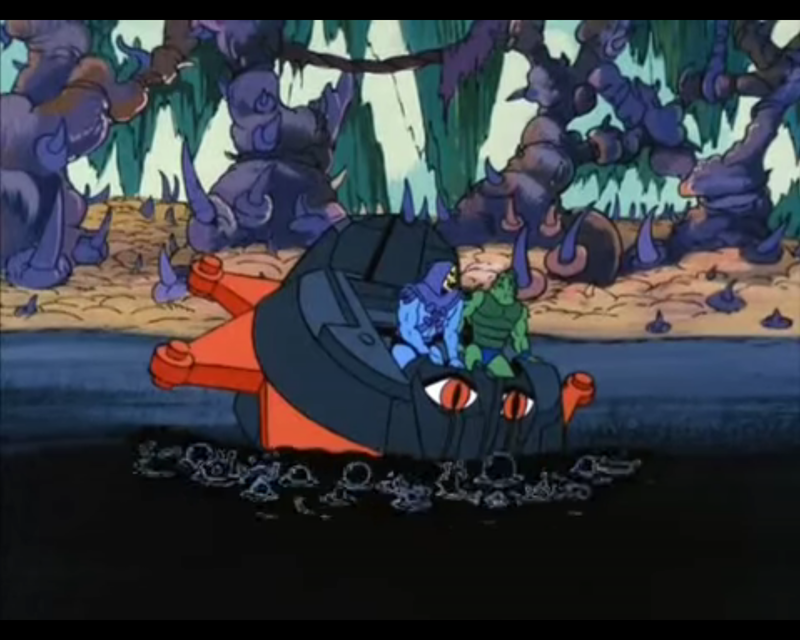 Of all the evil vehicles, this one seems to lend itself most to fleet-building. 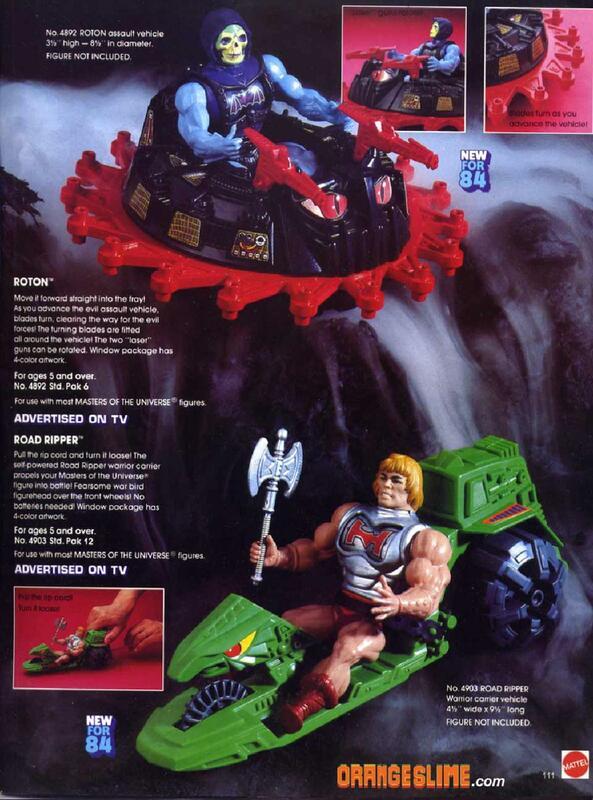 Like the Battle Ram, it works as a ground or air assault vehicle. 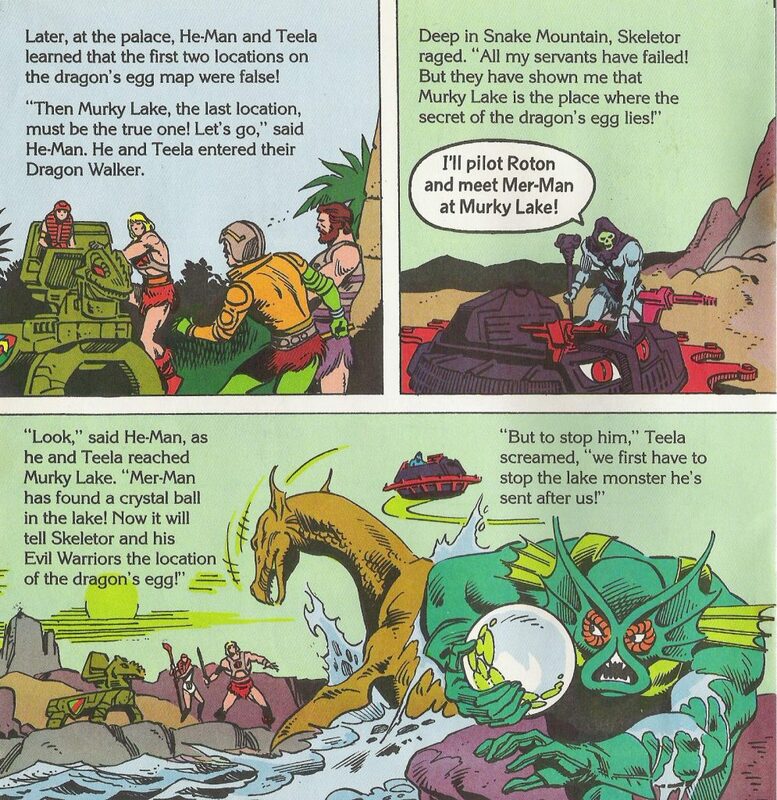 Curiously, the Roton doesn’t show up once in the mini comics, while the Land Shark (released a year later) shows up in multiple comics across multiple years. 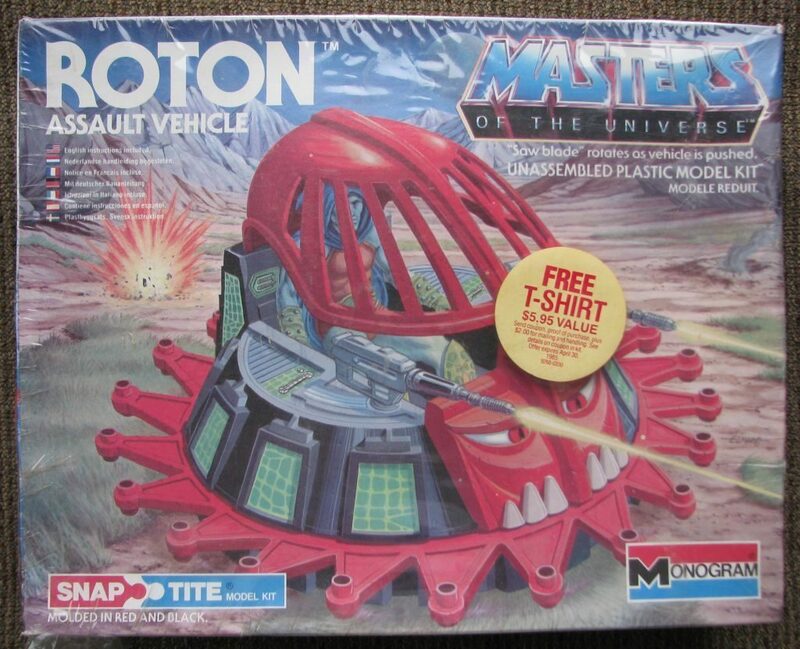 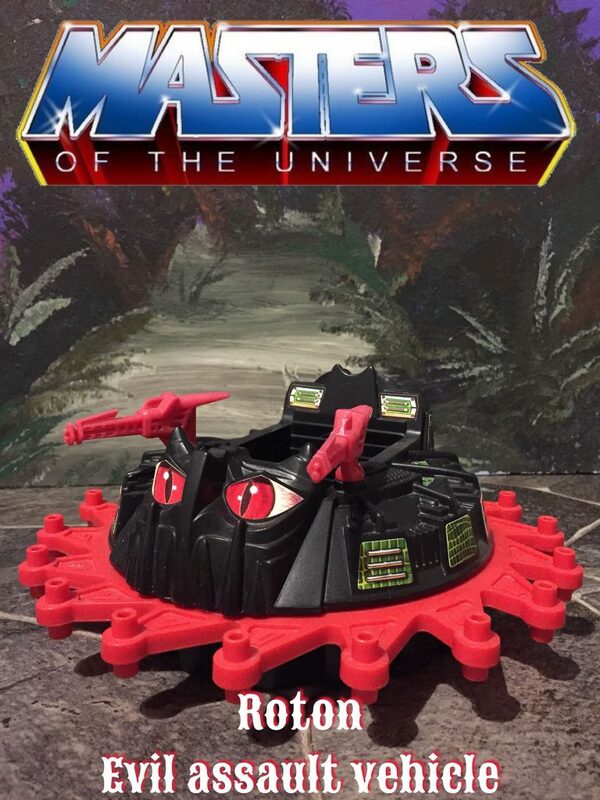 Of all the evil vehicles produced for the line, the Roton is my favorite. 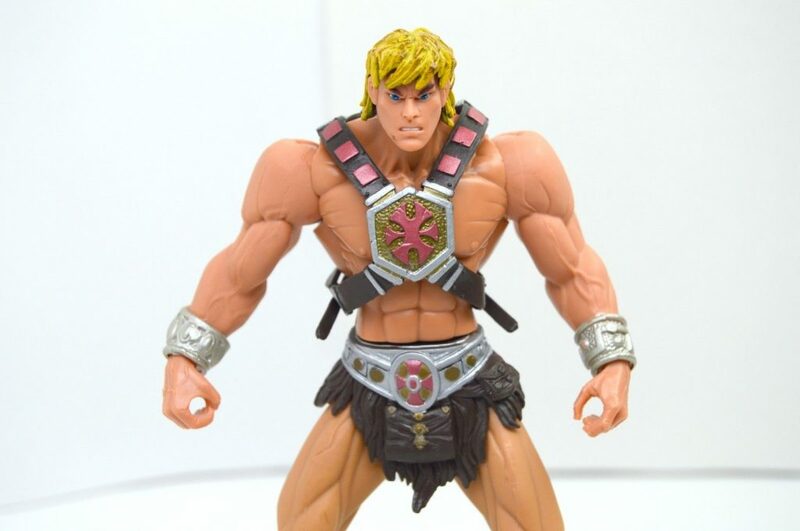 You just have to take one look at it and you immediately get what it’s about and you feel sorry for any heroic warriors who have to go up against it. 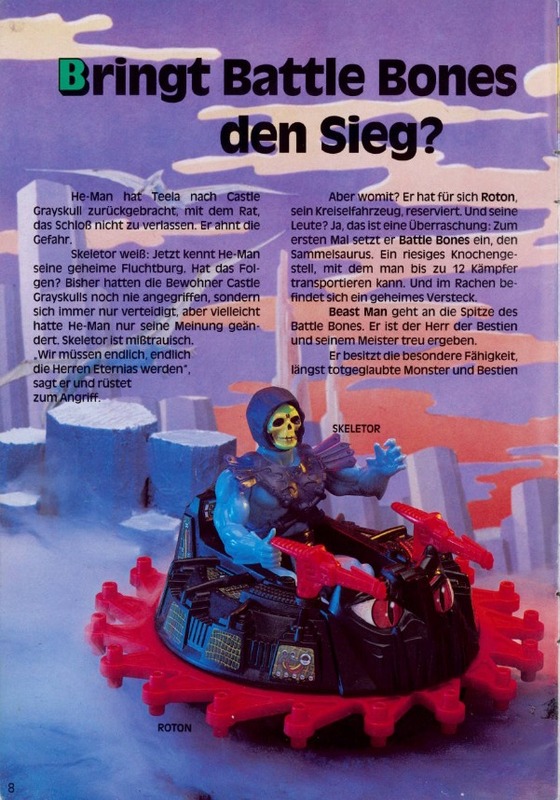 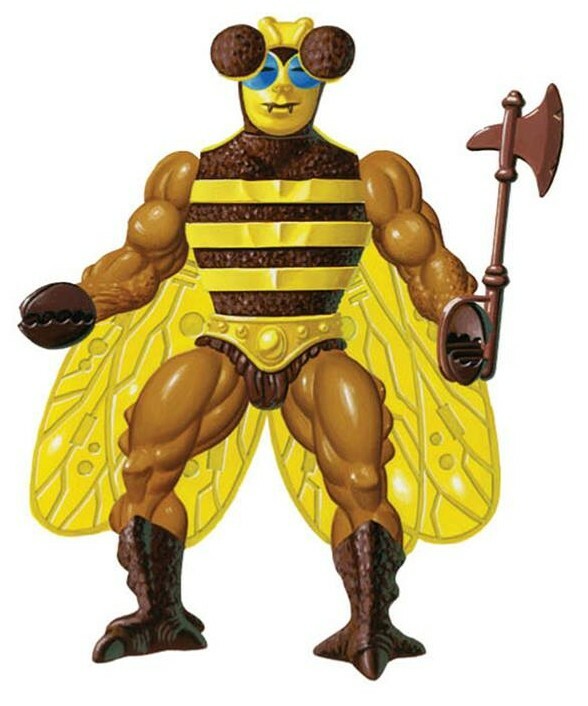 From the 1984 Mattel Dealer Catalog. 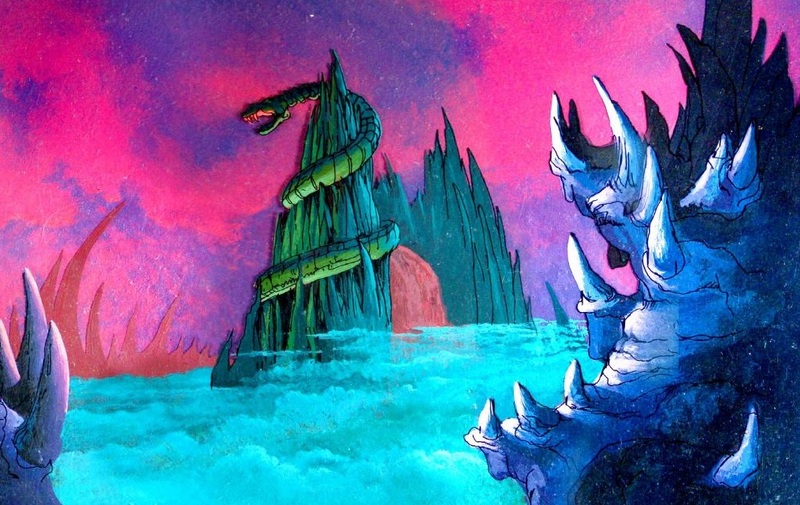 Image via Orange Slime. 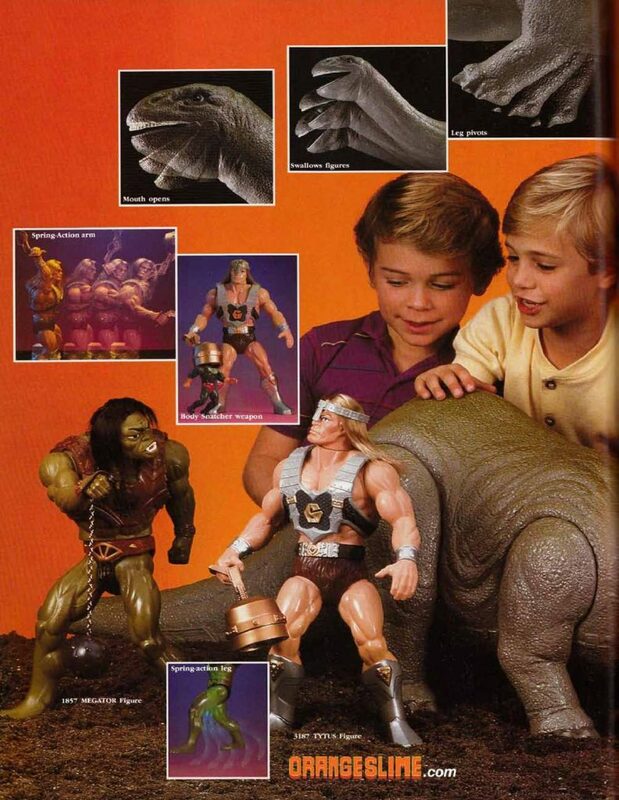 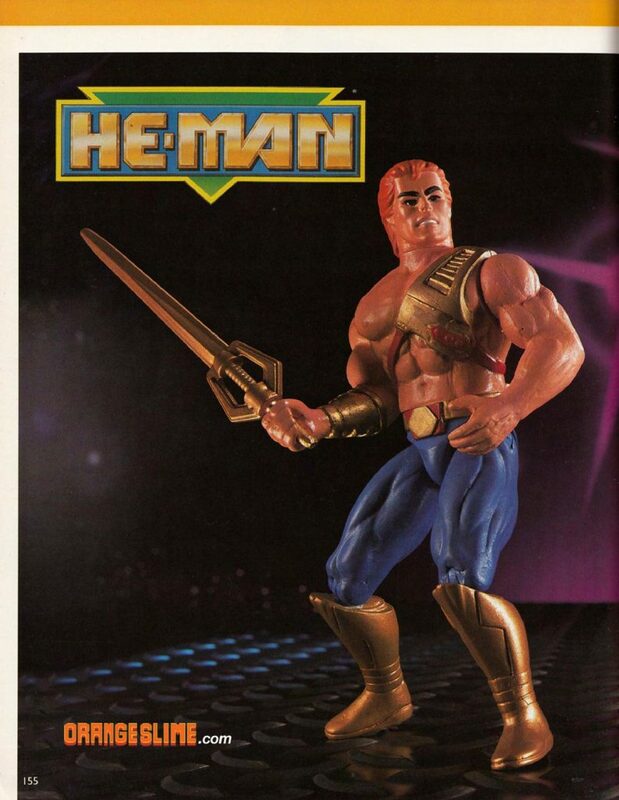 From the 1985 Mattel Dealer Catalog. 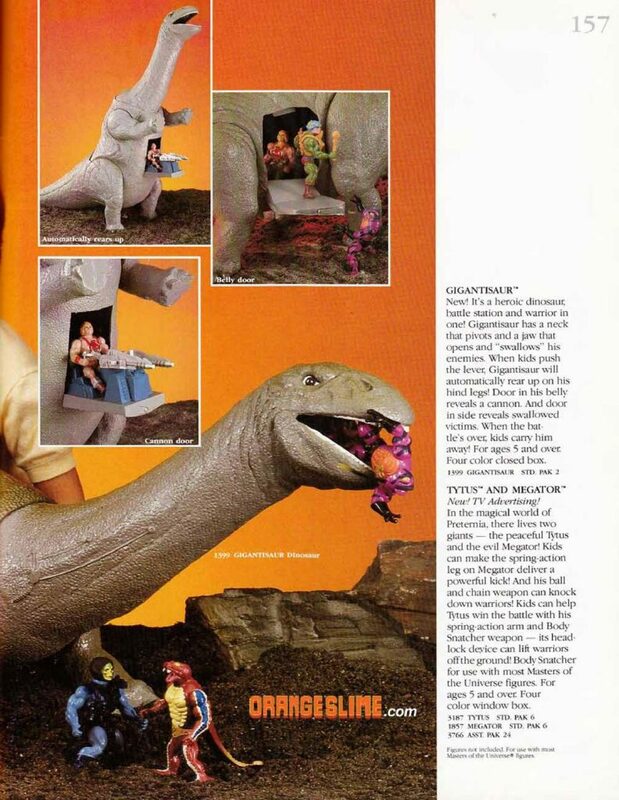 Image via Orange Slime.